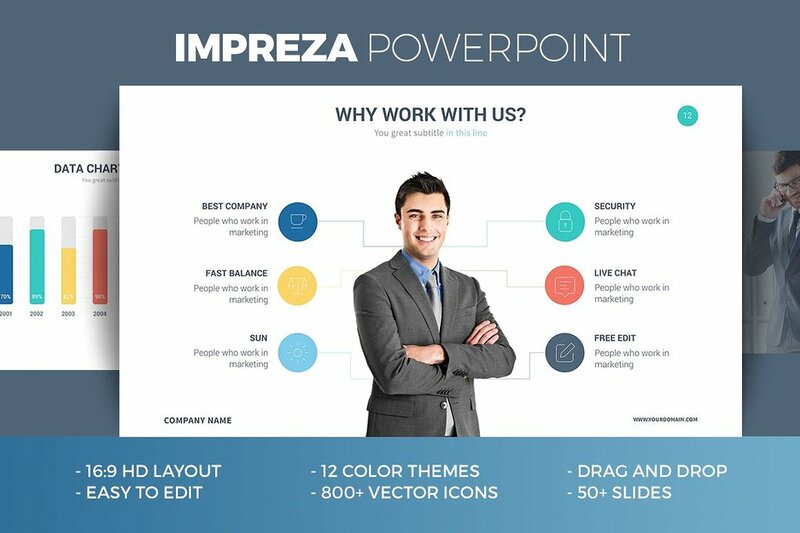 In this article, you will find 25+ best free company profile Powerpoint templates that will help you to build professional presentations for your new startup. 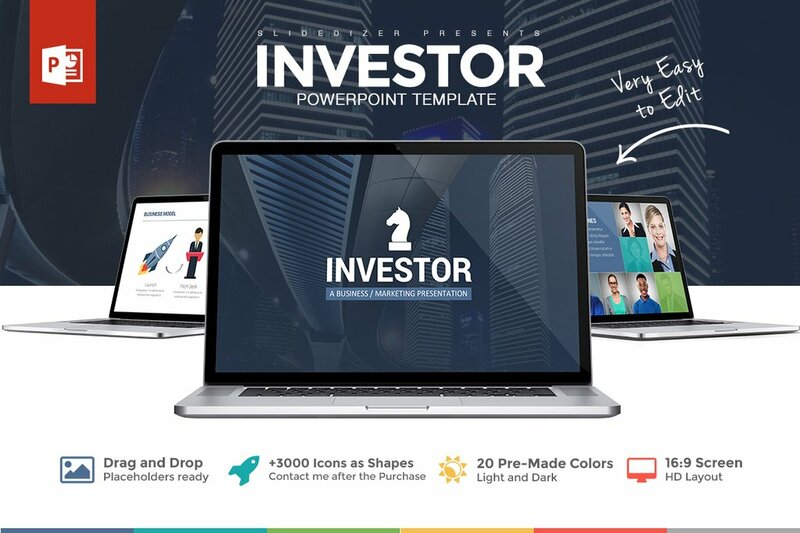 If your project has a limited budget or no budget at all, but you need to present your company profile to the potential clients or investors, you can still have a beautiful Powerpoint presentation. 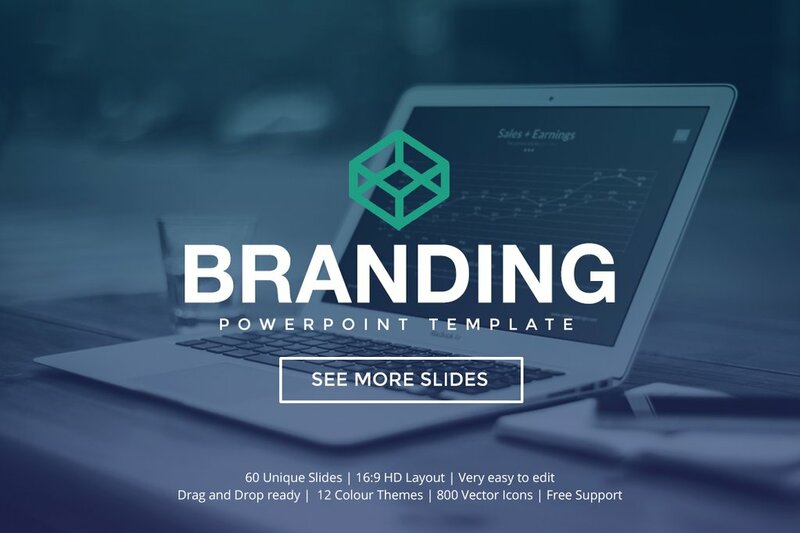 These days there are a lot of high-quality PowerPoint presentation templates on the web available to download for free. 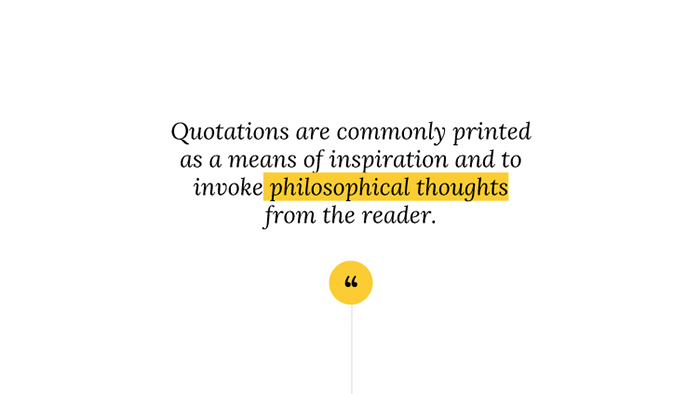 Sometimes designers want to test their designs and see if people download them. 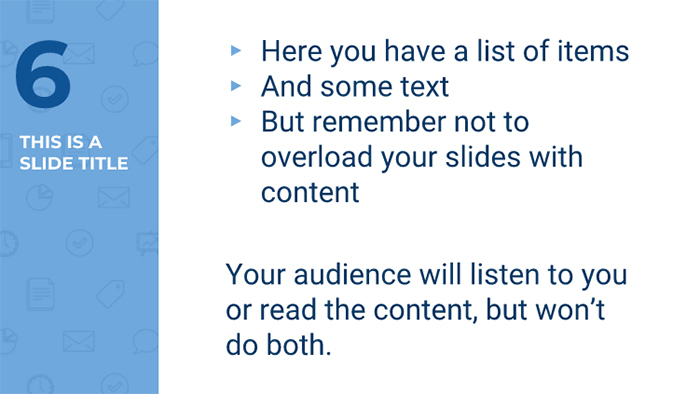 Also, free slides could be just a part of a promotion campaign of a large presentations bundle or some website. 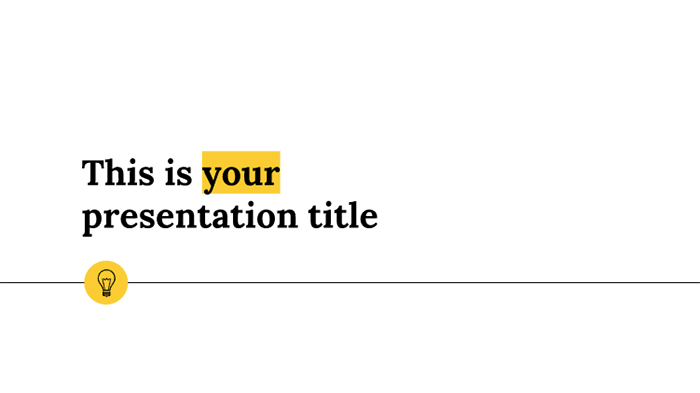 In any case, that’s an excellent opportunity for those who just started a business and don’t have money to buy a presentation template. 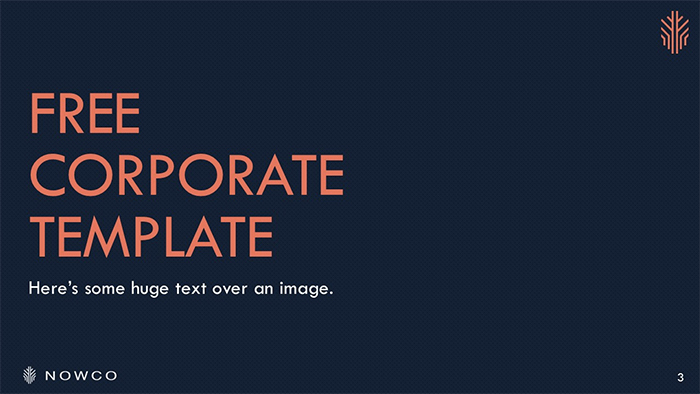 Zane is a corporate business free Powerpoint template for company profile presentations. 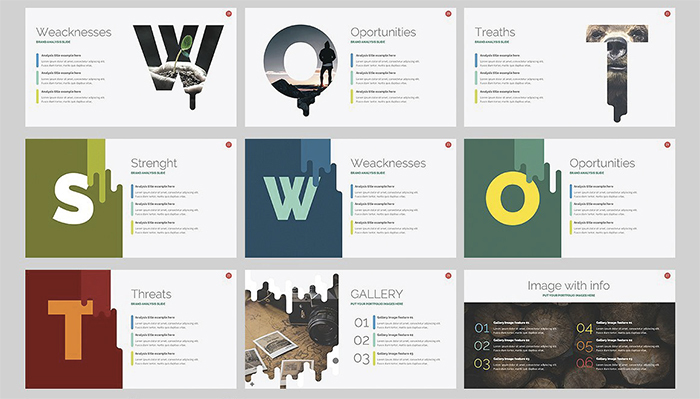 It includes 11 slides that will help you to create a stunning presentation. 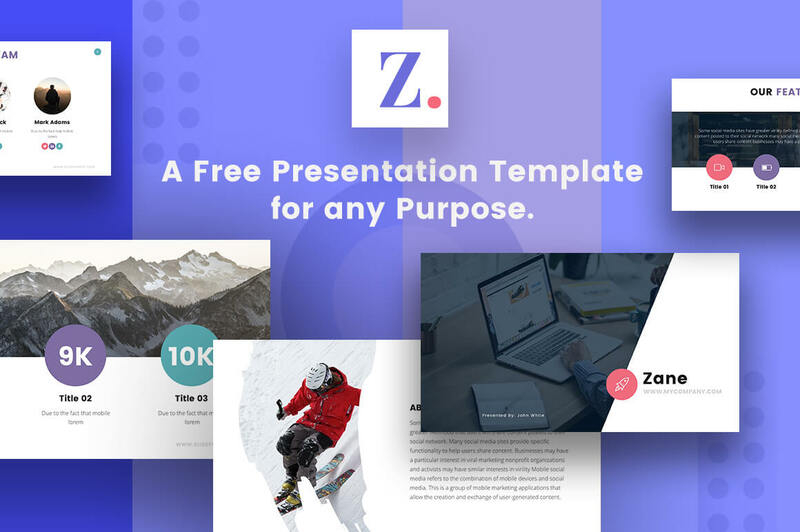 Zane is a modern presentation template that is simple to customize, which will allow you to present your company profile in the best way that would make your information stand out. 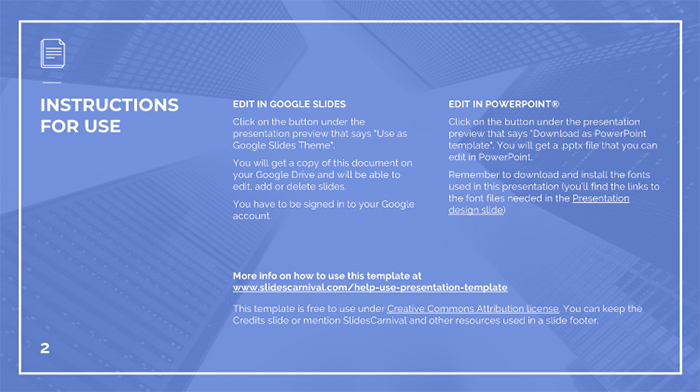 This free template works great in Powerpoint, Keynote and Google Slides. 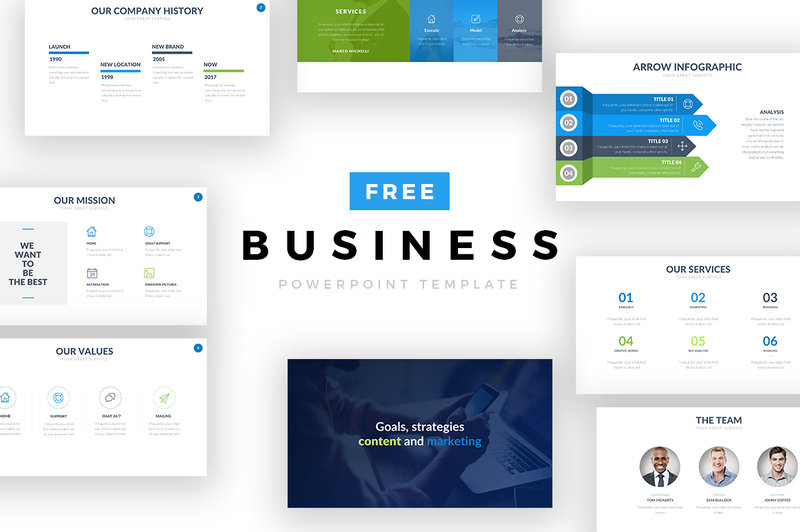 Best Busines Free Powerpoint Template is a modern and corporate template ideal for business any presentation. 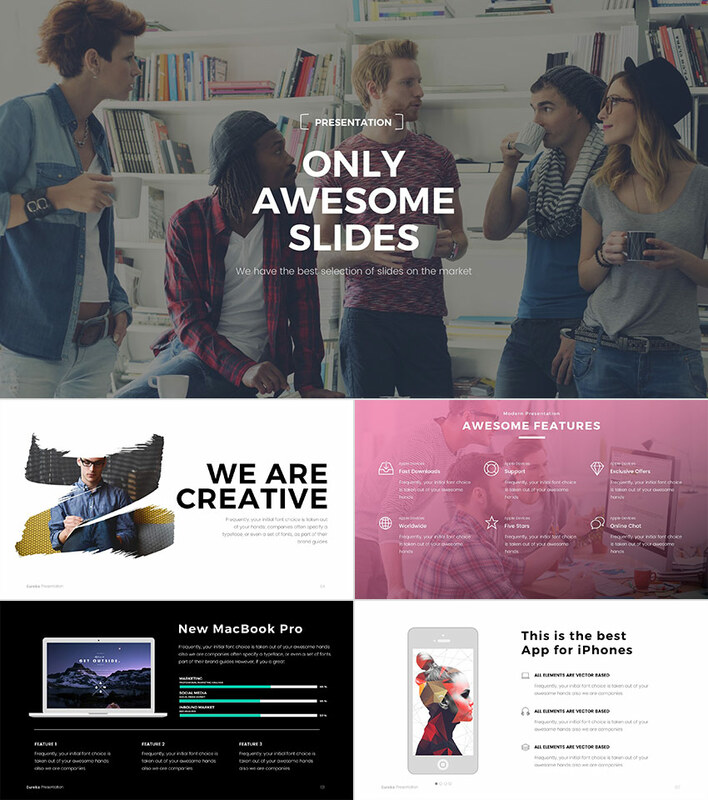 It includes 11 professional slides easy to edit. 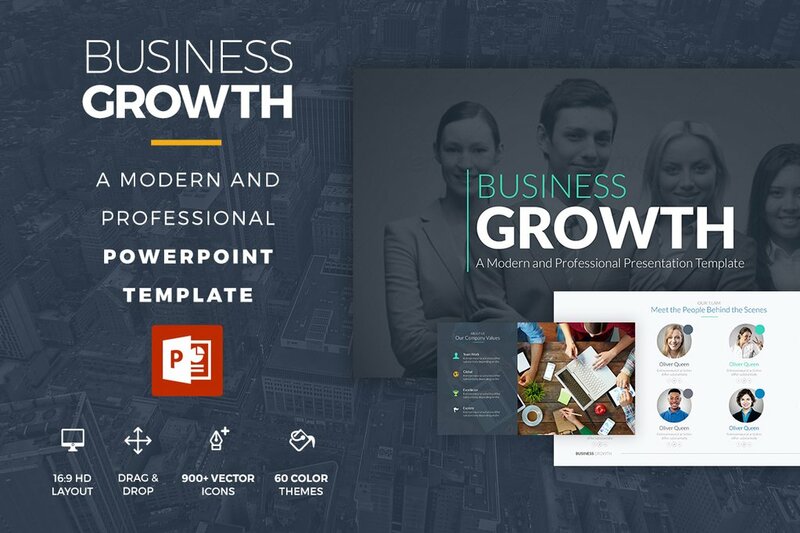 Because of its bright colors, this presentation is sure to capture the attention of any audience. 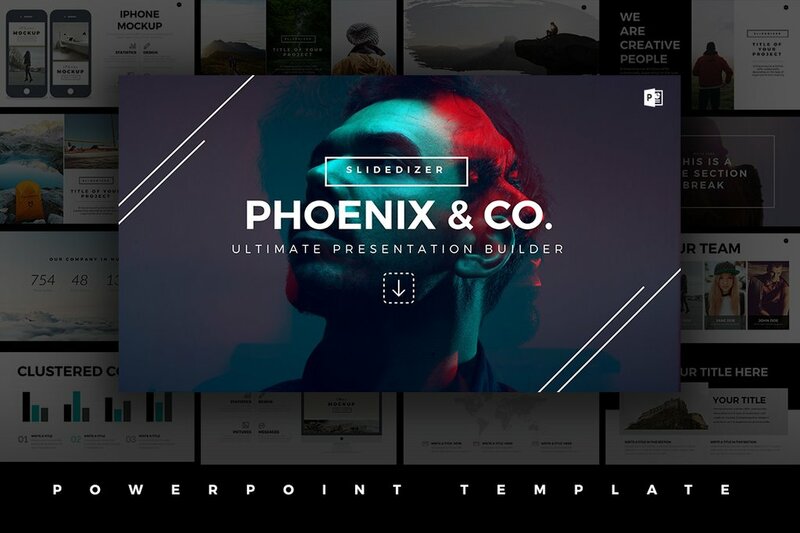 The cool colors used, give this presentation fresh and confident look. 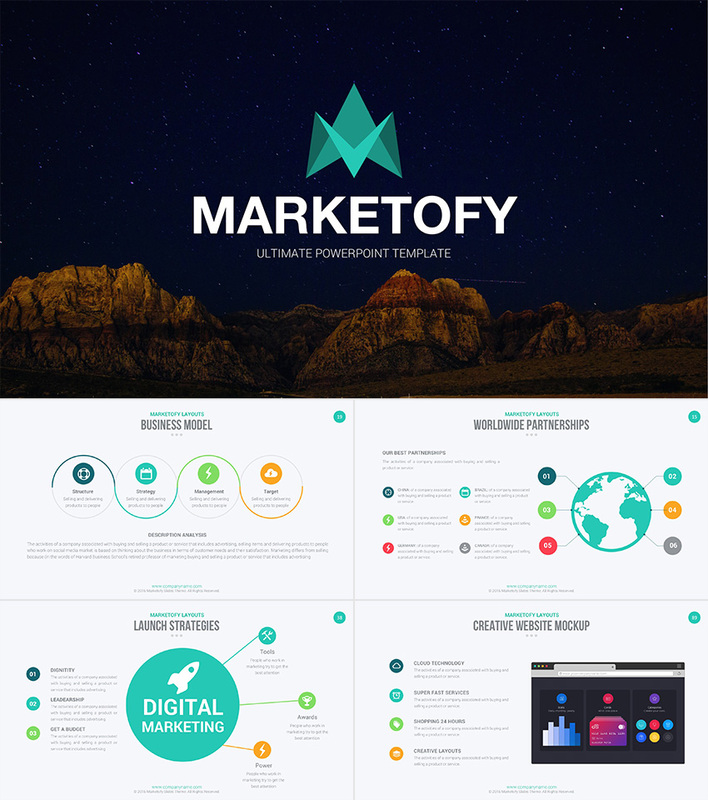 In addition, it has high-quality vector graphics to show off your project’s information. 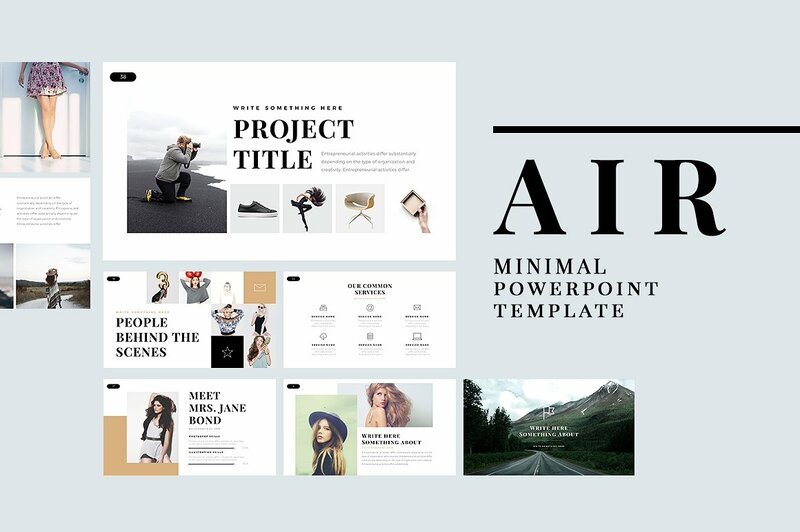 Air is a stylish modern presentation theme with strong typography and beautiful images. 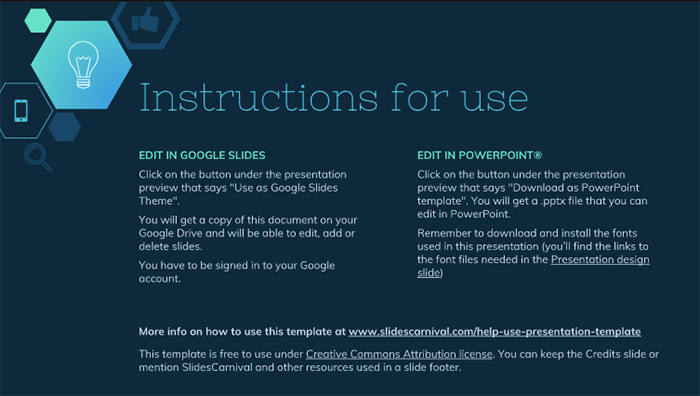 The presentation uses free fonts, so you can easily download them online when you edit this template. 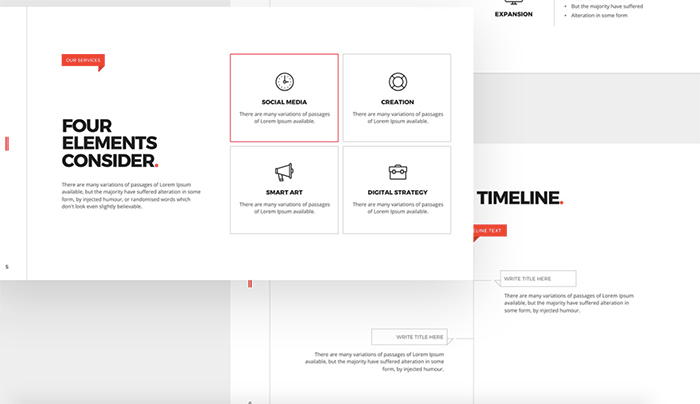 In addition, you can edit anything else on the slides, like adding, deleting and rearranging the layout for you to organize your information how you see would be better presented. 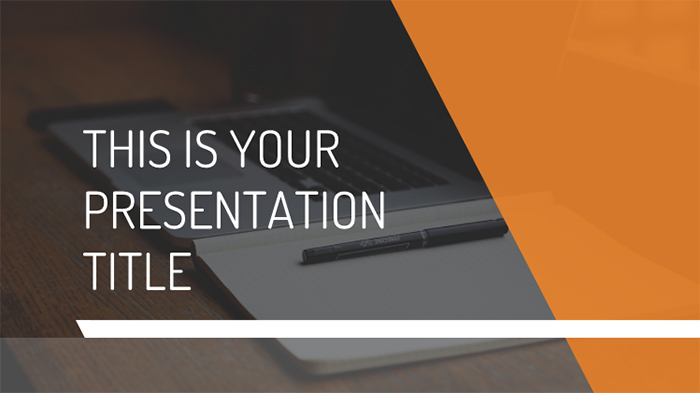 In the end, you will have an impressive presentation to show to your audience. 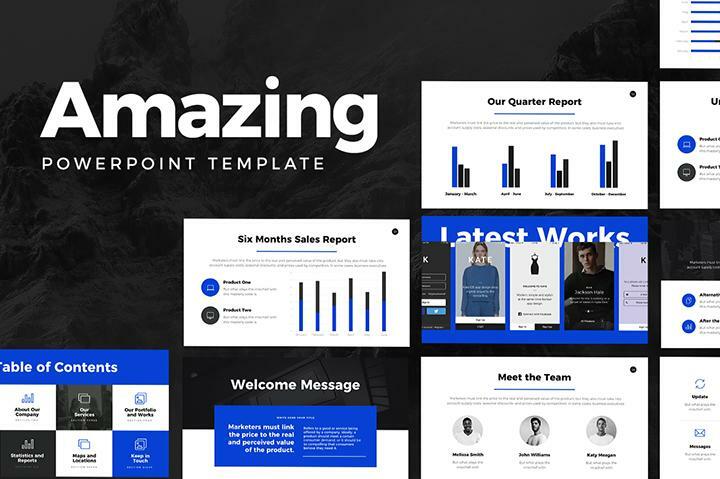 If you are searching for a presentation template which features different mockups, charts, graphs, images, and maps, this is an ideal solution for you! 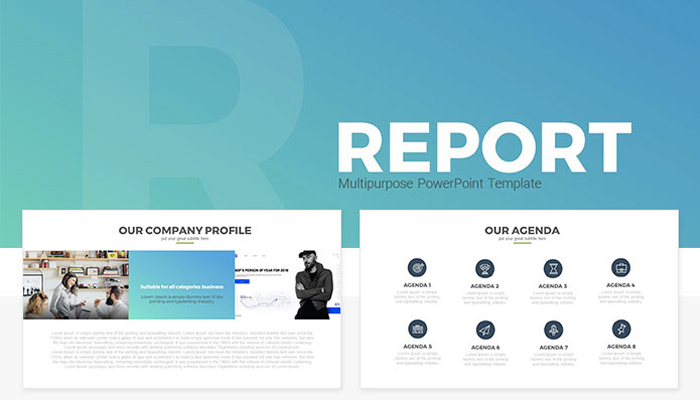 Business Powerpoint Template is a creative and colorful presentation, yet it has a clean and professional look to it, perfect to capture your audience’s attention. 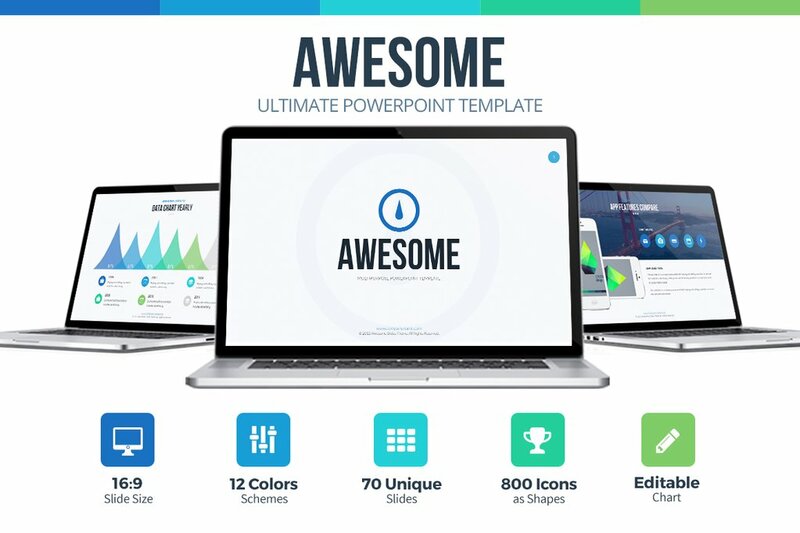 This presentation contains a lot of great features to help you create an impressive presentation, and what’s even better is that it is free for you to download. 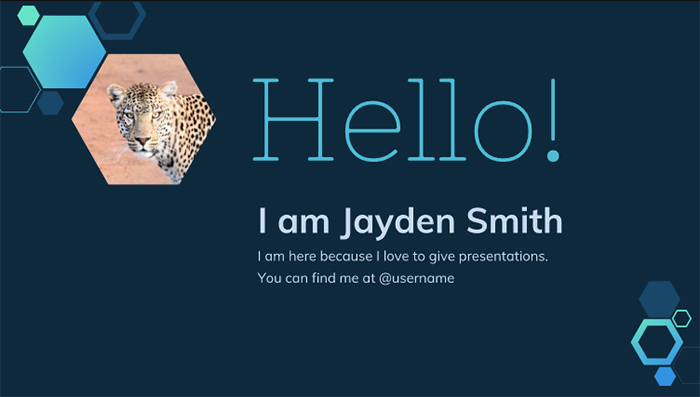 Every is a free dynamic, modern, and clean presentation template you can edit in PowerPoint. 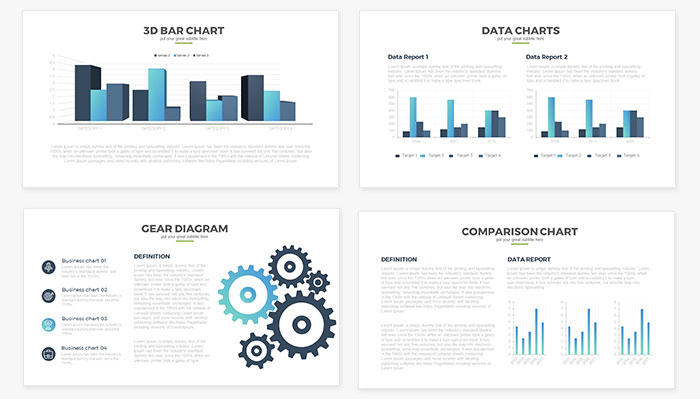 You can download 15 free slides with beautiful layout design and charts for your business data. 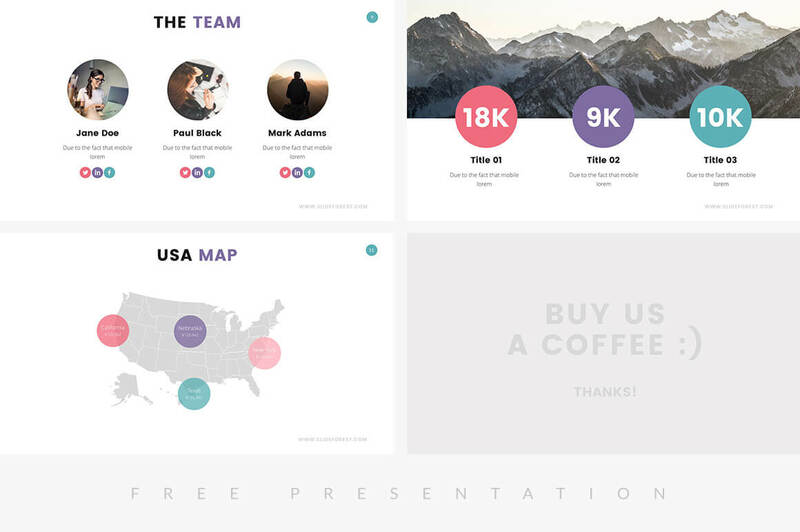 In fact, this presentation template has a simple and minimal layout to not overwhelm the audience with so much information on one slide. 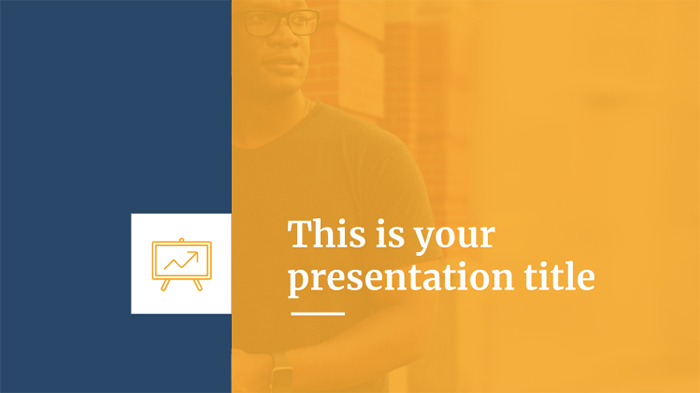 As a result, your slides and information would be short, sweet, and to the point, giving a clear and easy understanding of the message in the presentation. 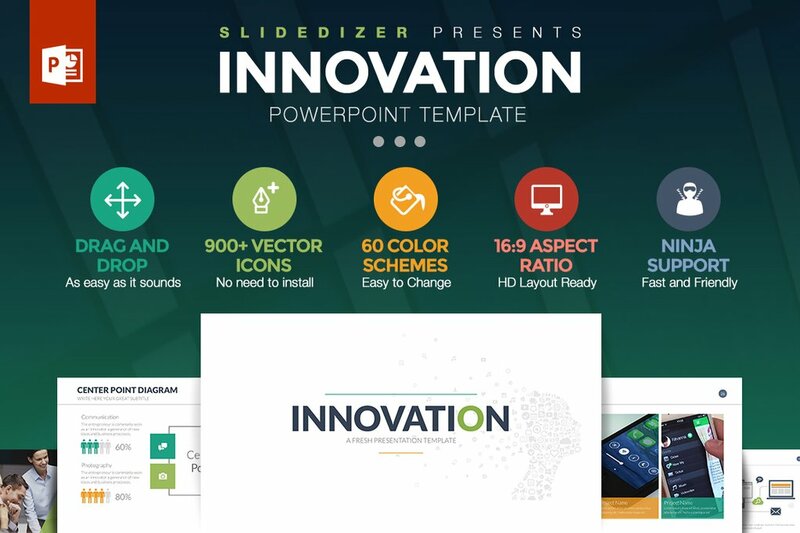 If you ever need an animated free PowerPoint template with professional design and creative effects, then search no more. 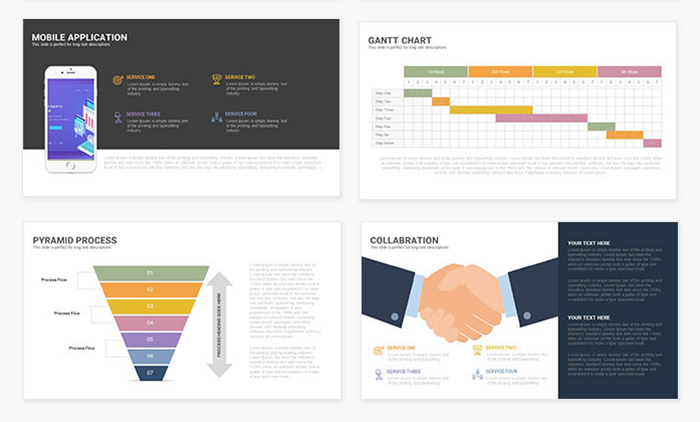 Xe has different slides such as history, teams, production steps, values, charts, creak slides and more. 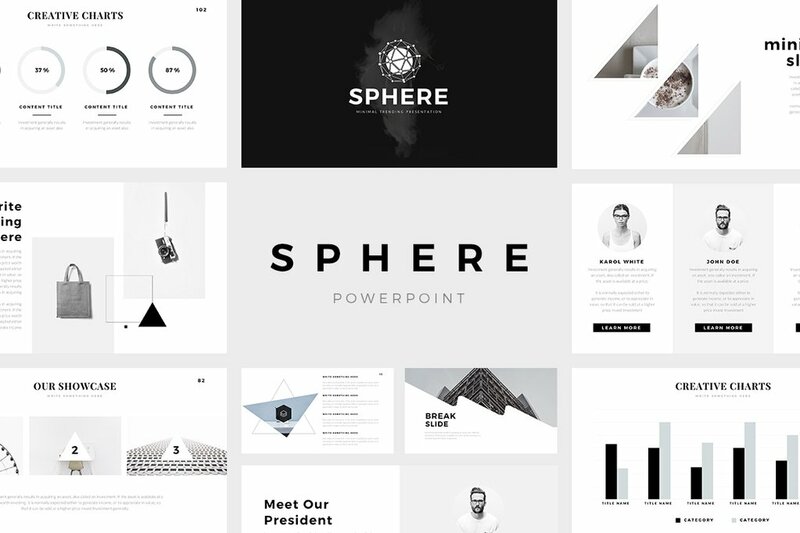 This presentation template is well- designed, has a unique layout, and has a captivating color scheme. 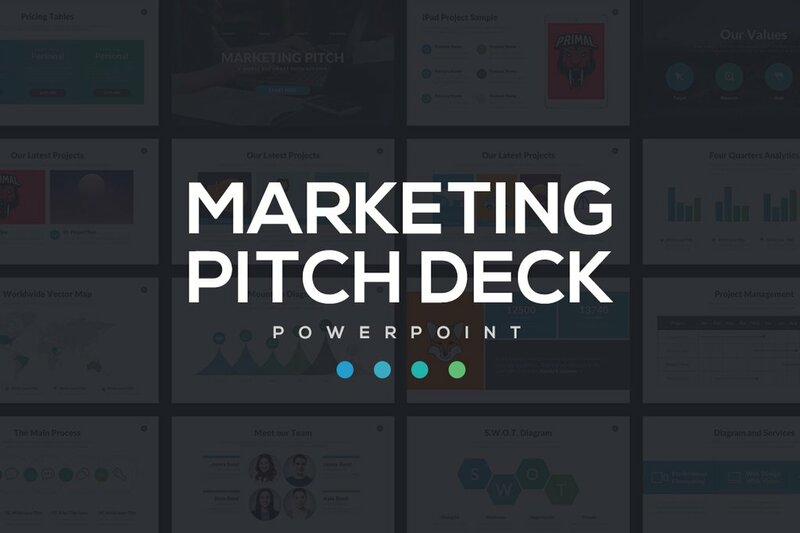 So, impress your audience with an outstanding and out of the box creative presentation. 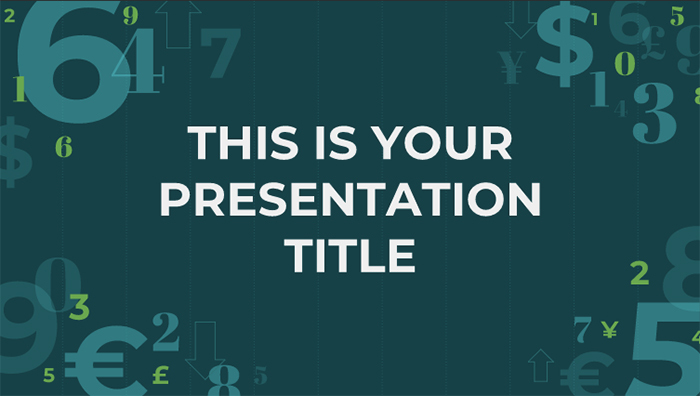 This excellent PowerPoint template will definitely leave a good impression. 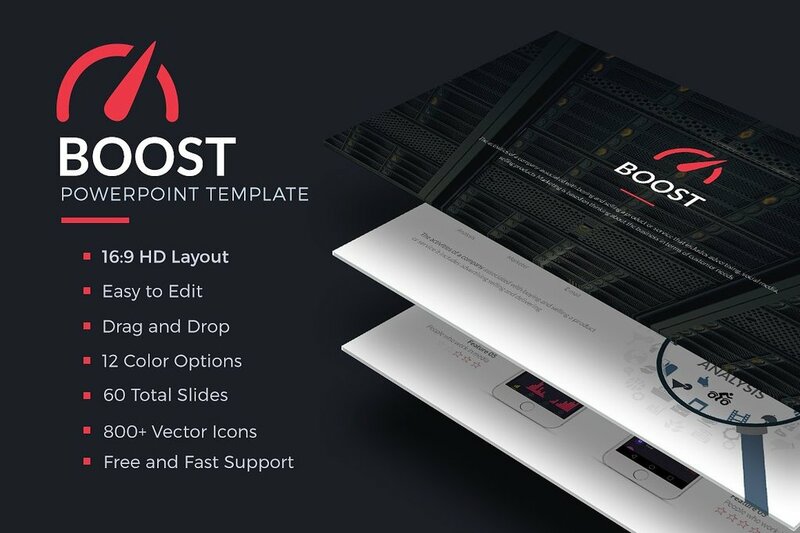 When you download the file, you’ll get 117 color palettes, 65 slides, and endless customization possibilities. 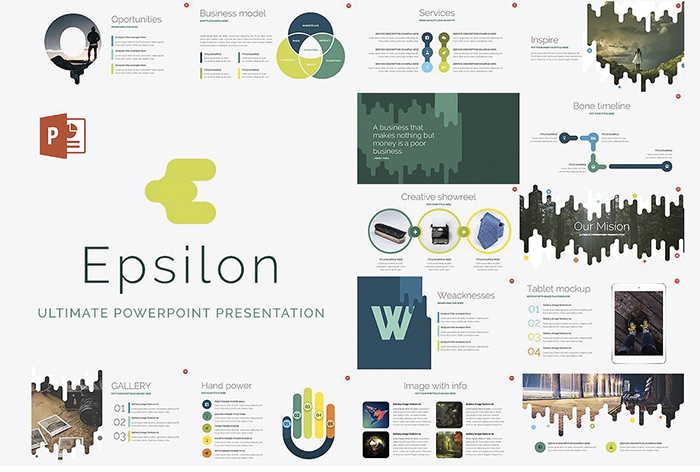 This template can be used for personal and commercial use, making every single one of your presentation interesting and visually captivating. 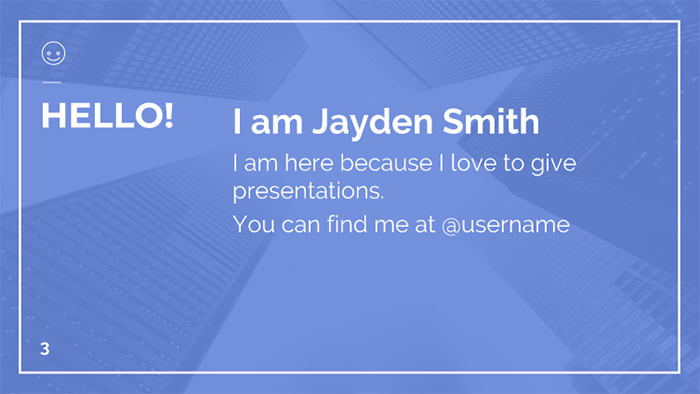 Since this is your presentation, you can change the color theme to one that better suits you and your presentation. 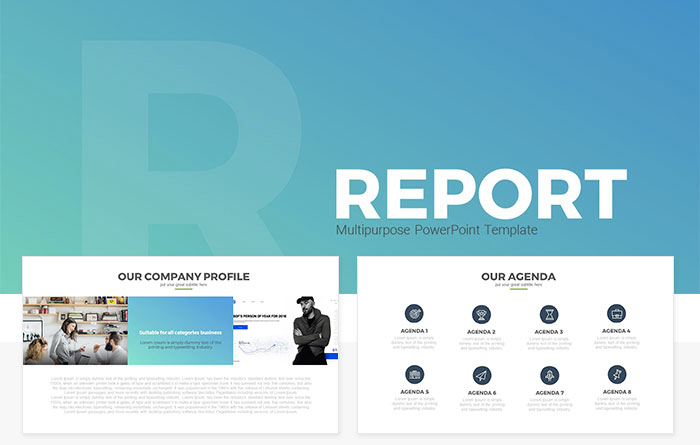 Report is a corporate company profile presentation template designed to impress your viewers with your data. 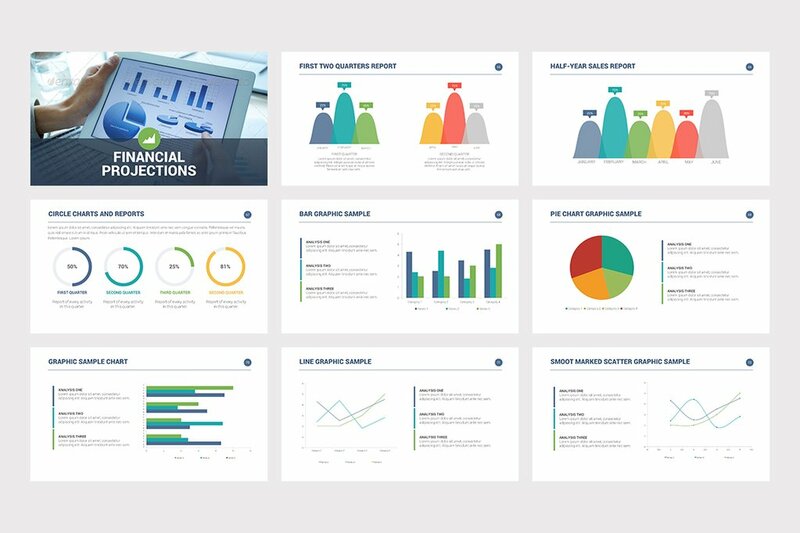 You can show your audience what you can do, what your goals and concept are, allows you to share some data with charts and graphs. 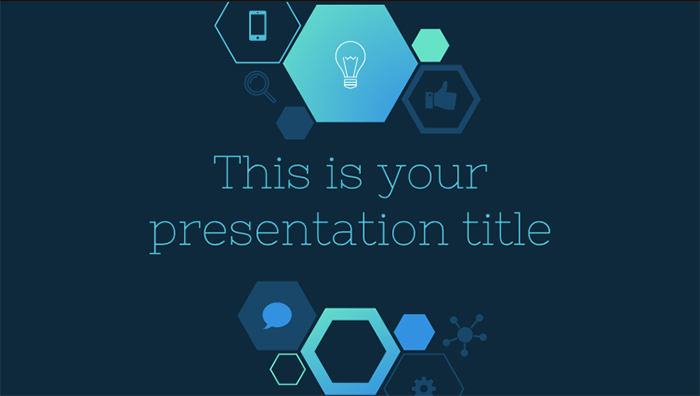 This presentation template uses an electric blue to visually capture your audience’s attention. 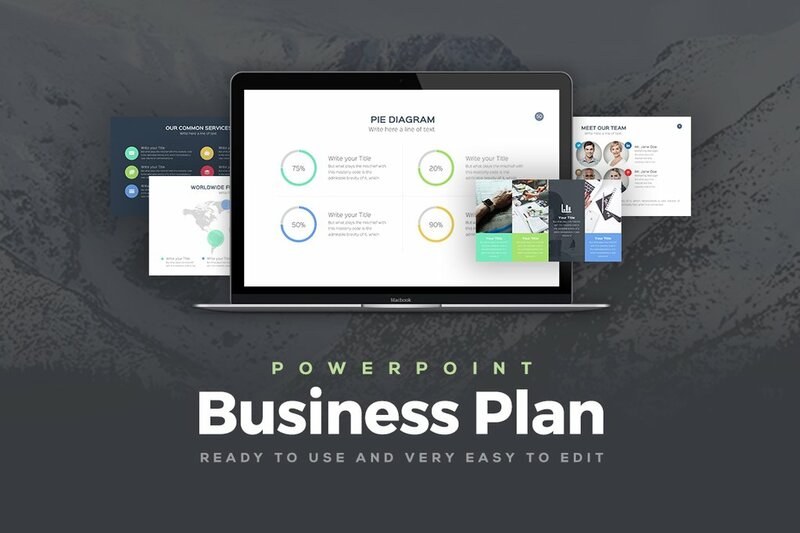 Report is composed of 15 easy to edit slides, giving you an unlimited amount of ways to organize your information. 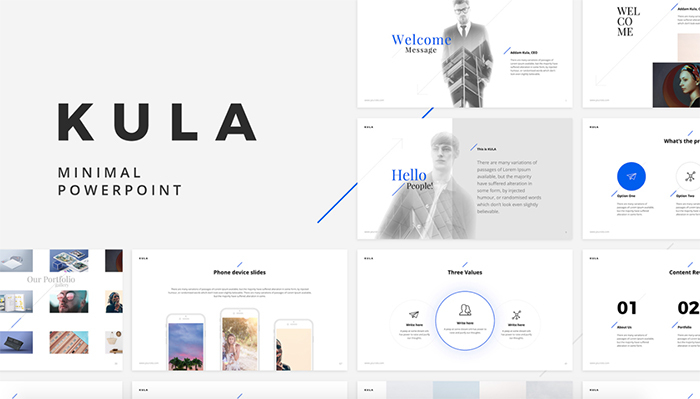 Kula is a clean yet stylish presentation template designed for PowerPoint. 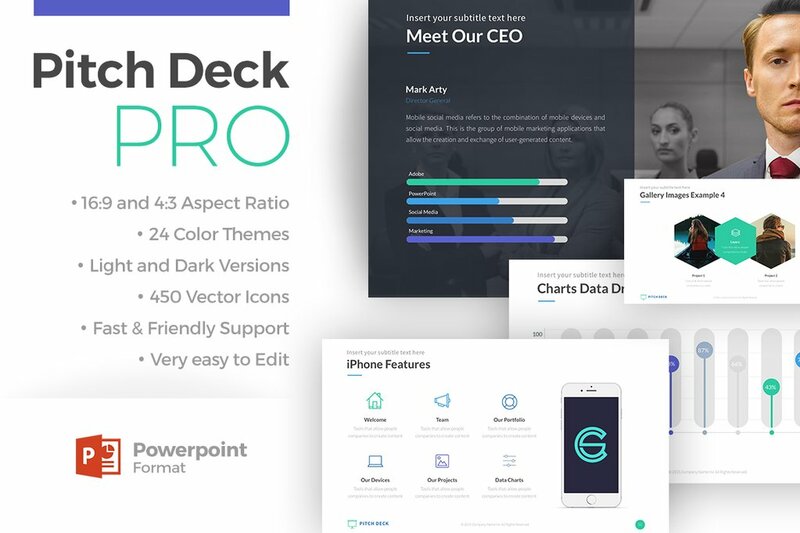 It contains 90 unique slides, 40 color schemes, and stunning design that will make your modern presentation stand out. 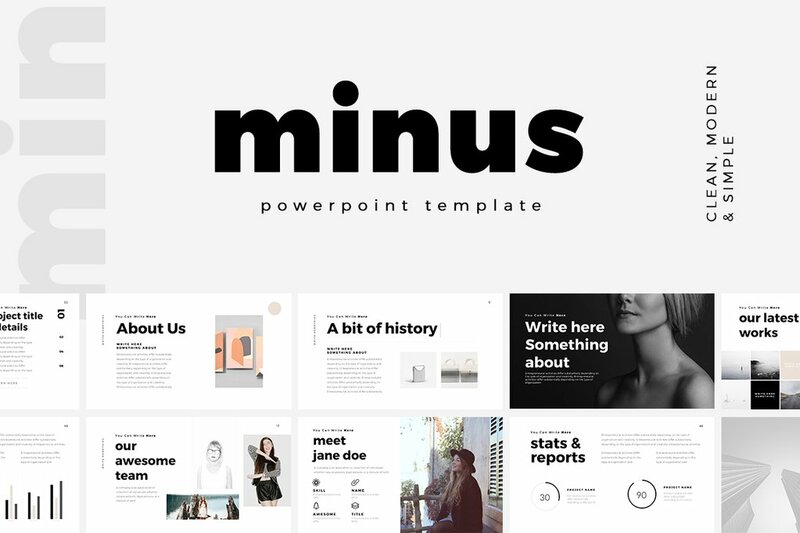 This presentation template contains a minimal style, meaning that your information will be short, sweet, and to the point. 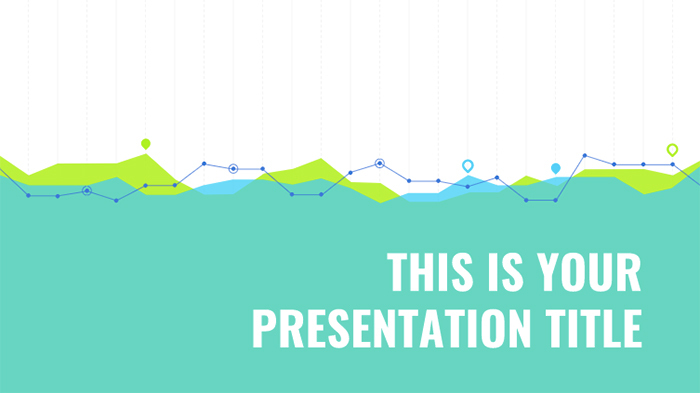 Your audience will get a clean and well-organized presentation, as a result, getting a good understanding of what was being discussed in the presentation. 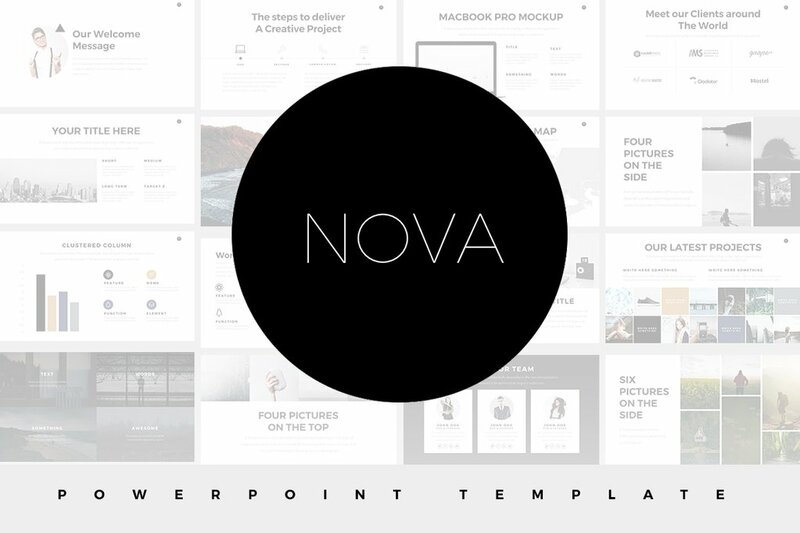 Power presentation is a light, airy template with 120 unique slides and over 900 fonts. 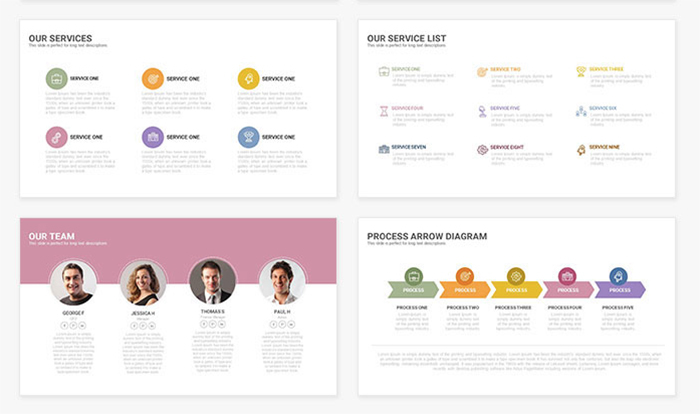 If you want to change colors to fit your brand style, you can choose from 24 color options. 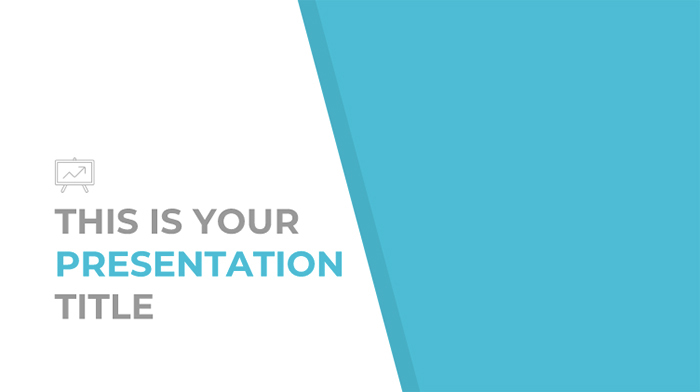 You have an unlimited amount of ways to organize your information, making your presentation stand out and unique. 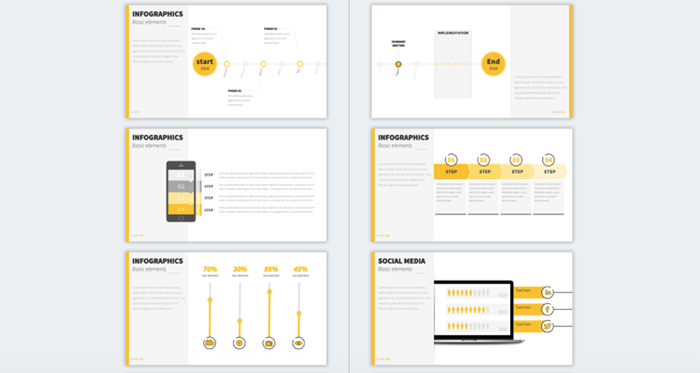 In fact, this template also includes a variety of infographics, so you can choose the infographic that will best represent your data. 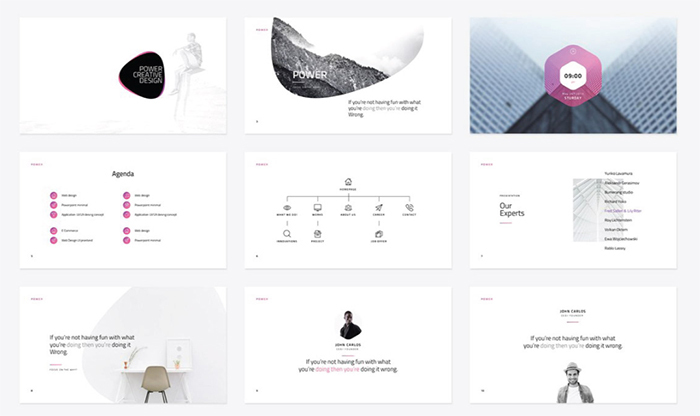 Balthasar is an elegant free presentation template that will be a perfect choice for teachers and finance professionals. 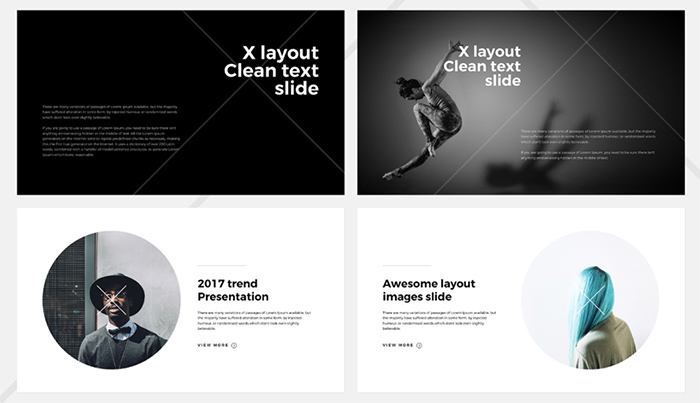 It has 25 fully-editable slides with a beautiful design which suit the 16:9 screen layout and green color scheme. 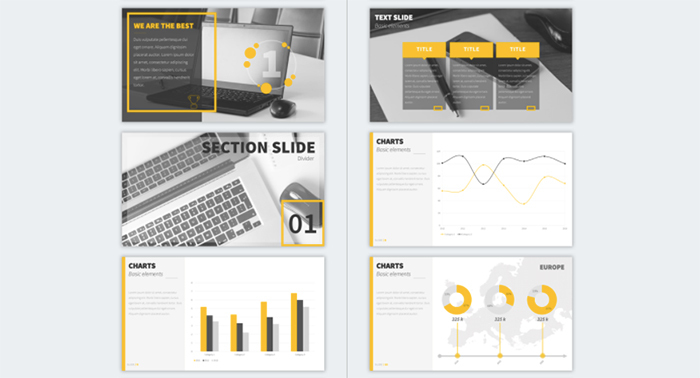 It has a unique numerical design on the slides, to make each slide more visually appealing without being too over top, and distracting for the information that is being presented. 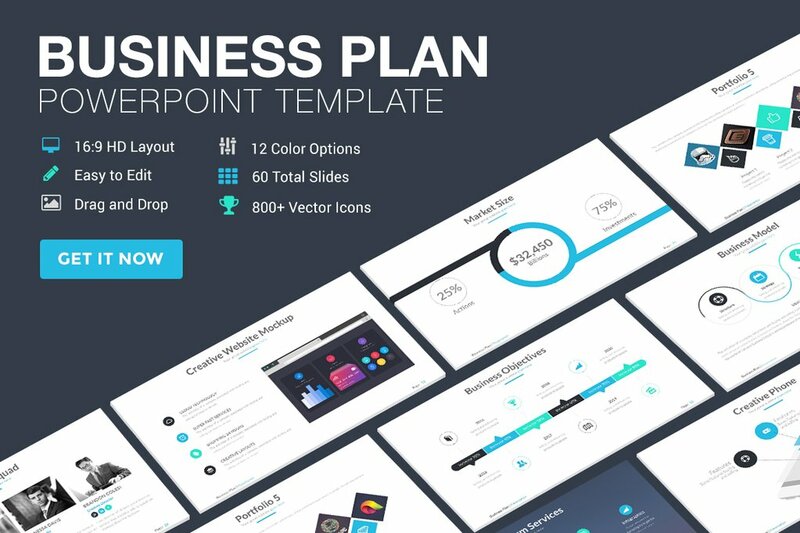 Here is one more impressive PowerPoint presentation template in a gray and blue color scheme. 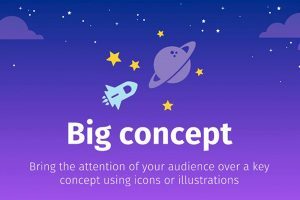 All the icons here are in a .png format which means you can move and resize them. 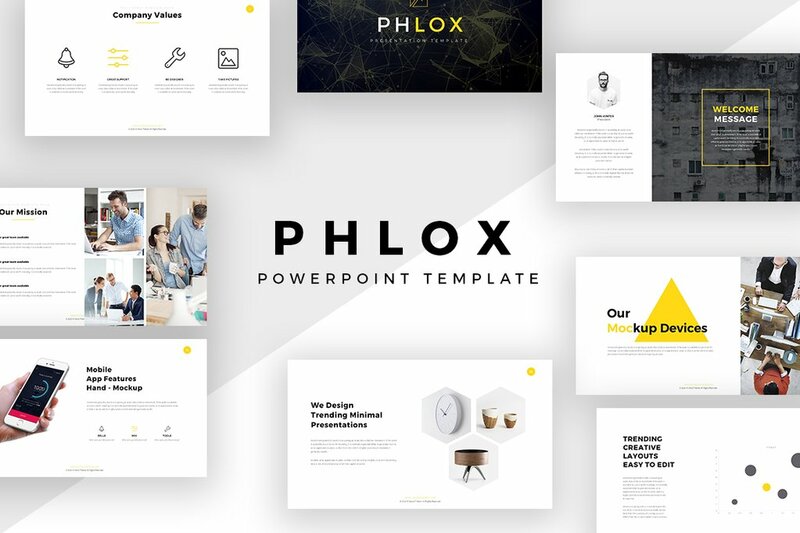 This presentation template is composed of 10 slides, that are fully editable letting you arrange, and customize anything needed to make this presentation look how you want. 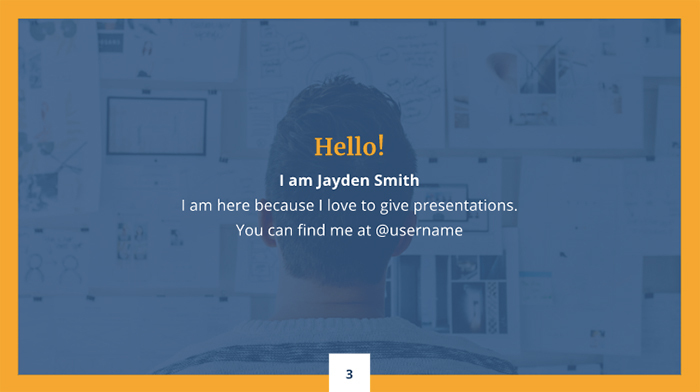 Impress your audience with a simple presentation. 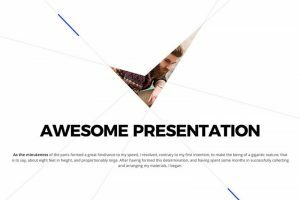 Orange and blue colors create a high contrast, and this presentation template takes this as an advantage. 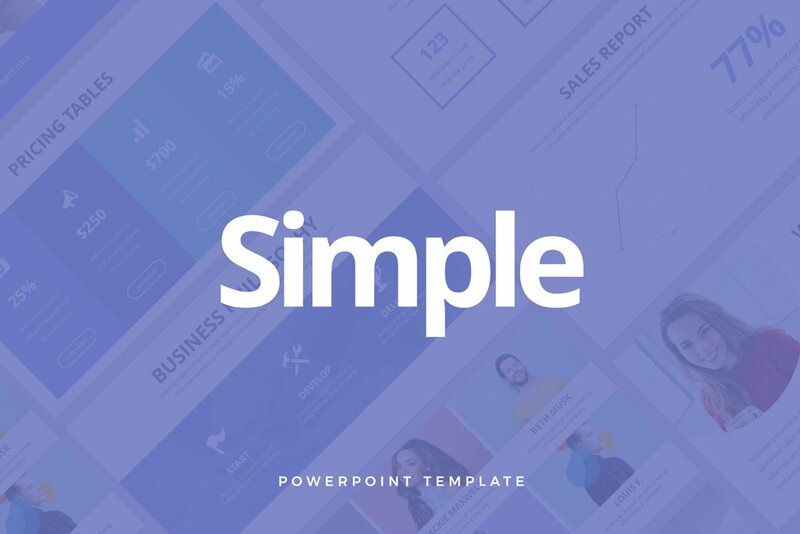 This clean, simple presentation will fit any type of business, whether it’s for business, corporate, lecture, or class project. 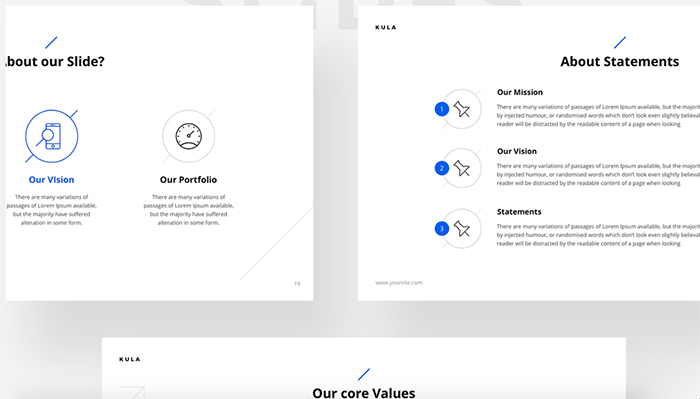 Emelia will make you stand our and not only impress your audience, but even you will be impressed with how simple it is to edit, saving you a lot of time. 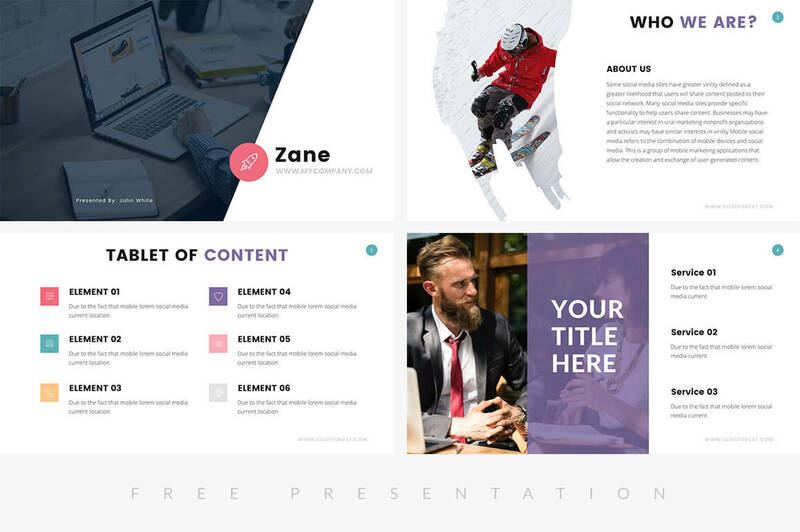 Don’t stress trying to create an impressive presentation, when this one has already been designed for you, and it’s free! 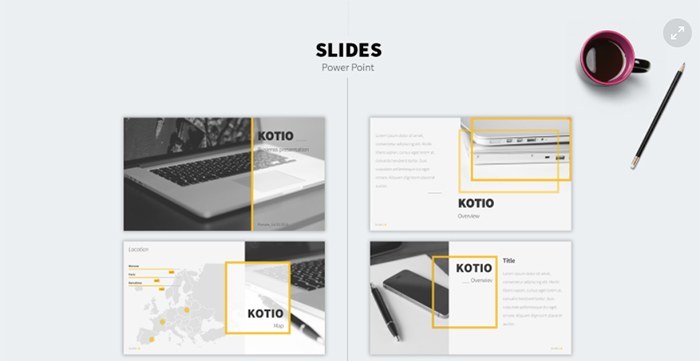 Show your business in a modern creative way with this awesome Kotio presentation template. 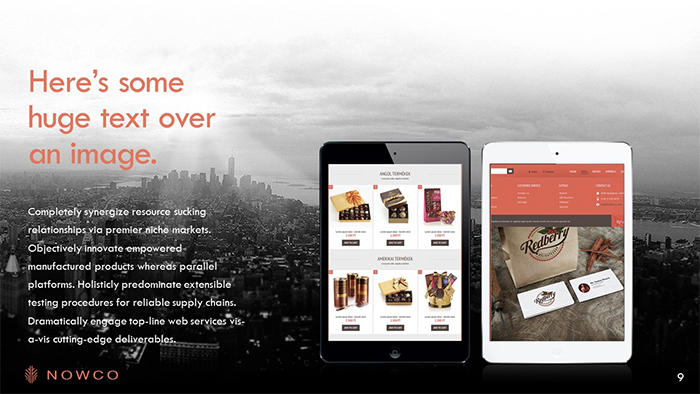 It has dynamic typography, widescreen format, and editable elements to adjust them for your needs. 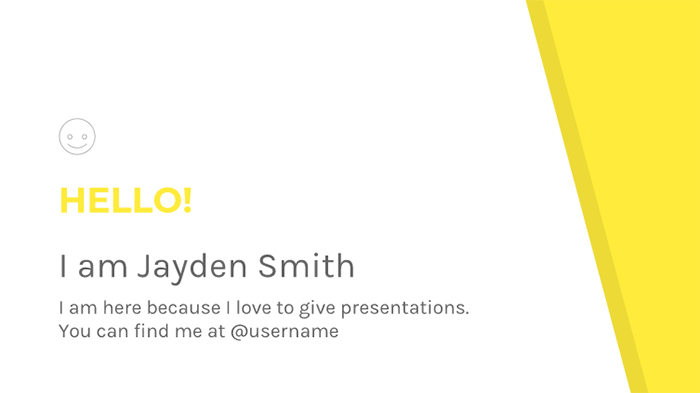 This presentation template uses the color yellow to make the slides stand out and capture the audience’s attention with the bright color. 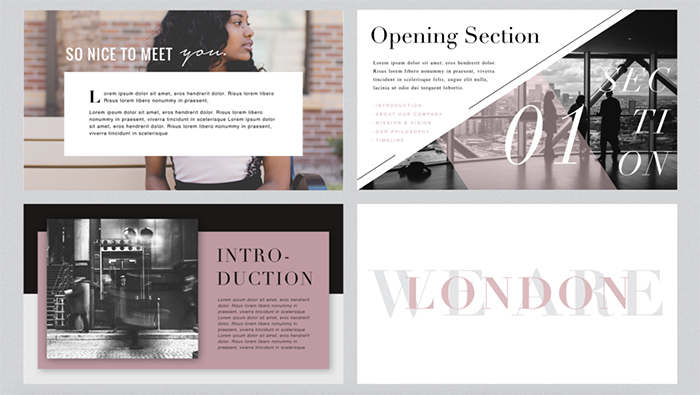 You don’t have to be an expert to create a professionally designed presentation, you can just download Kotio for free and voila. 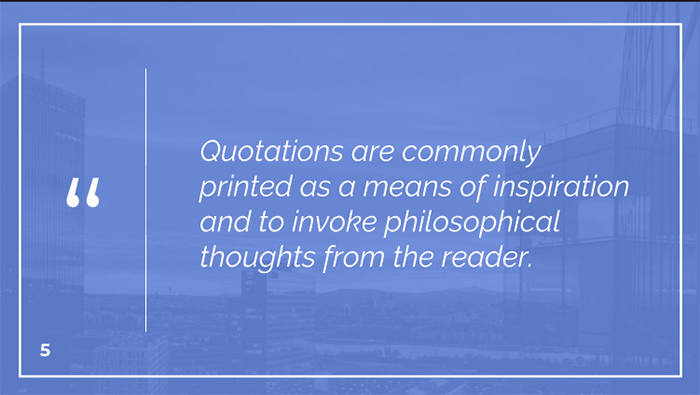 Quince has a color combination of green and blue on white, which shows professionalism and elegance. 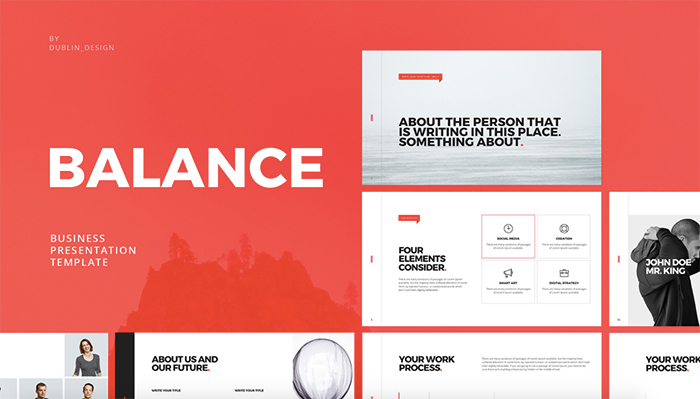 You will drive attention to your audience with these vibrant colors. 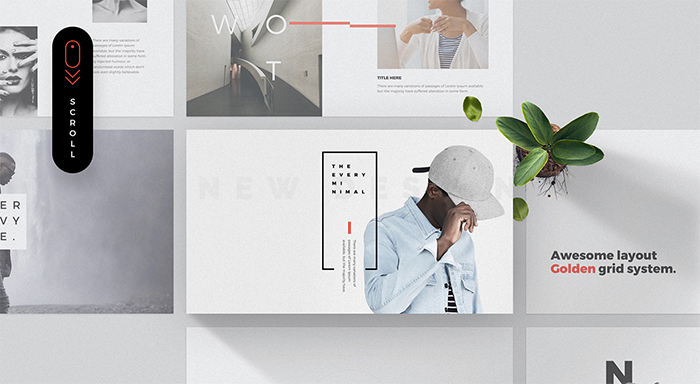 The colors stand out beautifully on the white background, making any information in color stand out to the audience. 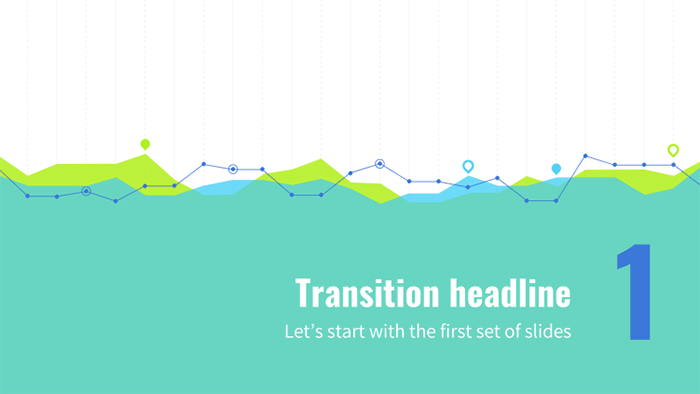 Each slide contains a high quality and subtle line graph design, also causing capturing the audience’s attention to the slide with its visual appeal. 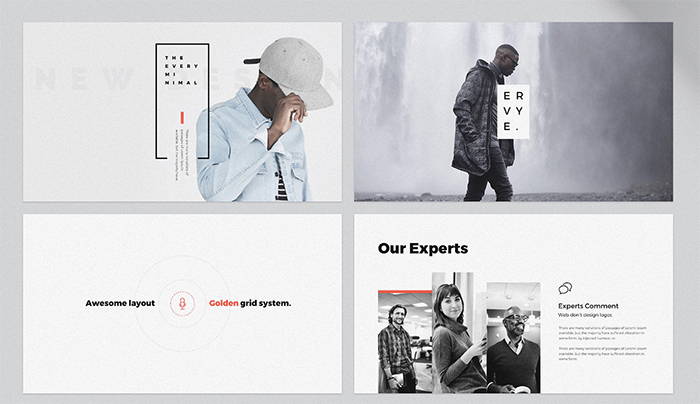 Arvirargus is a beautiful corporate presentation theme with high contrast and eye-catching typography. You can leave this rainbow style, or change it to something more calm and monochrome. 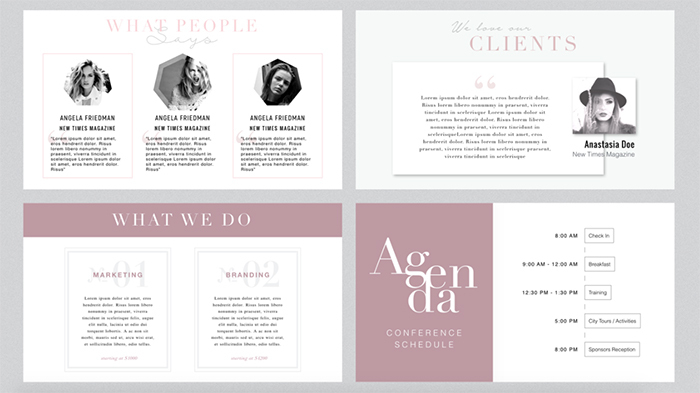 Since this presentation template is designed to fit your presentational needs, you have full control to add, delete, rearrange, and change anything in order to give it the look you want. 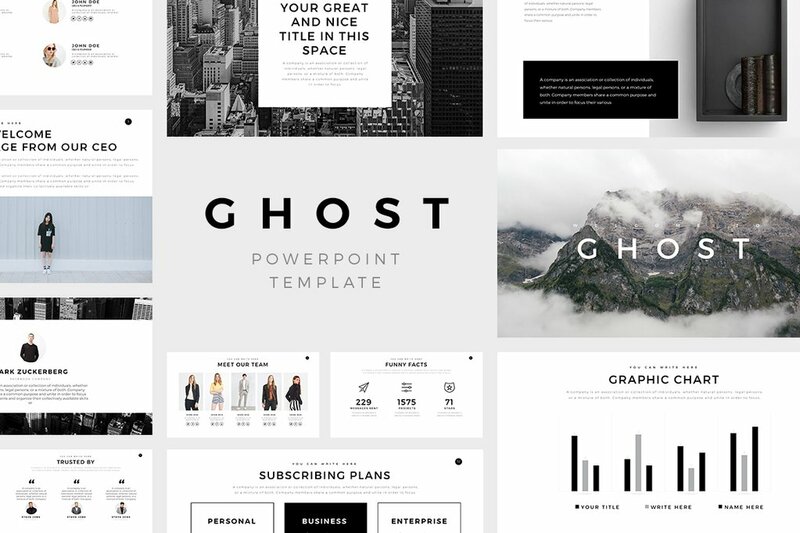 A minimalistic free PowerPoint template with bold typography and creative layout design. 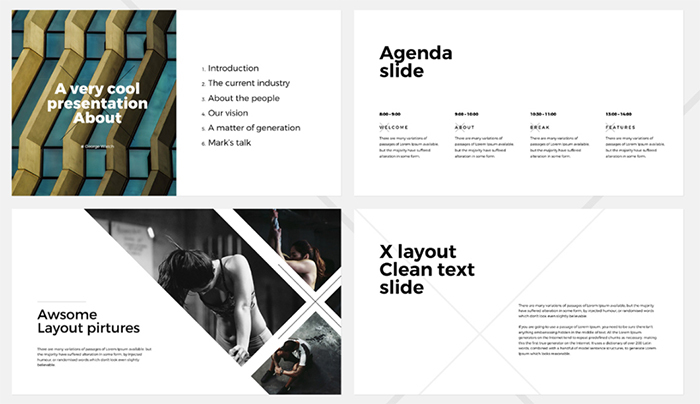 This presentation will be suitable not only for corporate business but for creative agencies, designers, photographers, and other creative occupations. 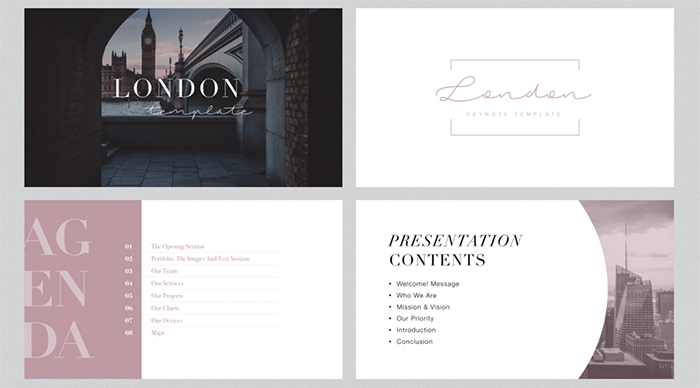 London is a unique presentation that has an elegant and sophisticated look. 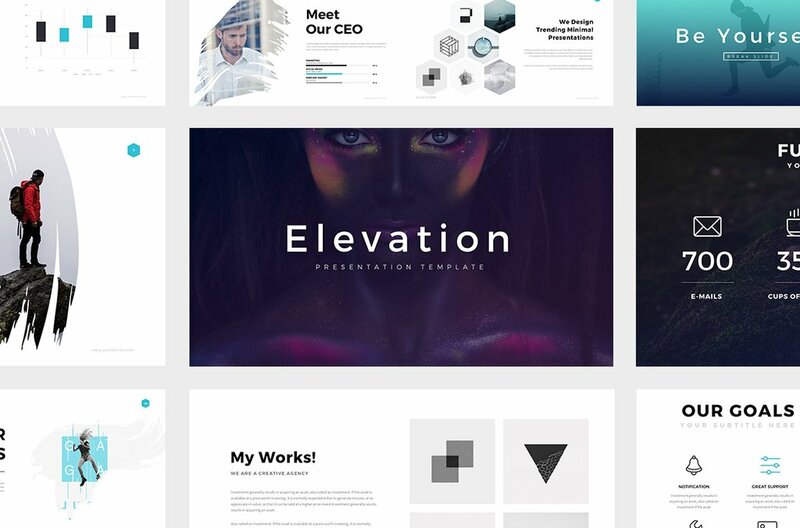 Creating an impressive and beautiful presentation has never been as easy, as it is to download this free template and edit it. 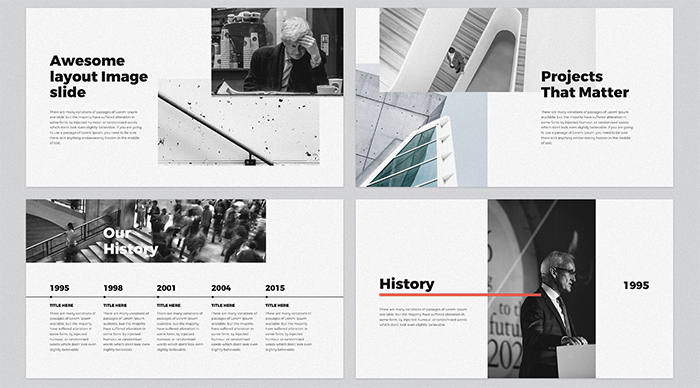 Marina is a corporate presentation theme with office buildings on the background images. 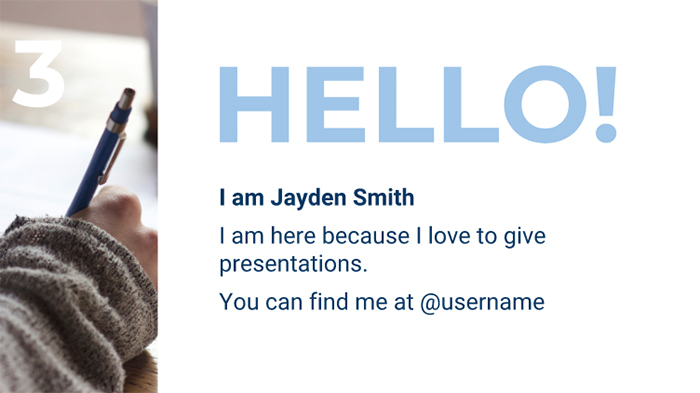 It used blue hover and white frame to make slides memorable. 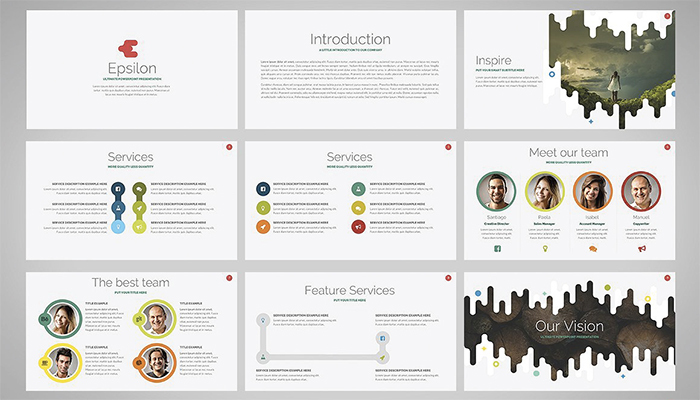 This presentation template has a clean and professional finish. 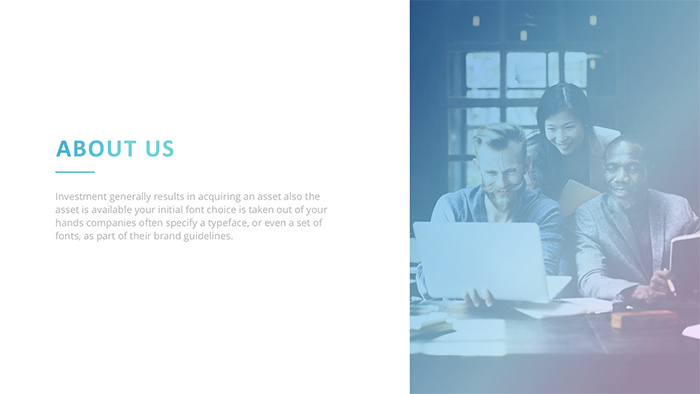 Marina is composed of 25 distinctive slides that can be fully edited, in fact, if you don’t like the blue color used, you can change the color with a click of a button. You have full control to organize you information however you want. Balance is my favorite template on this list. 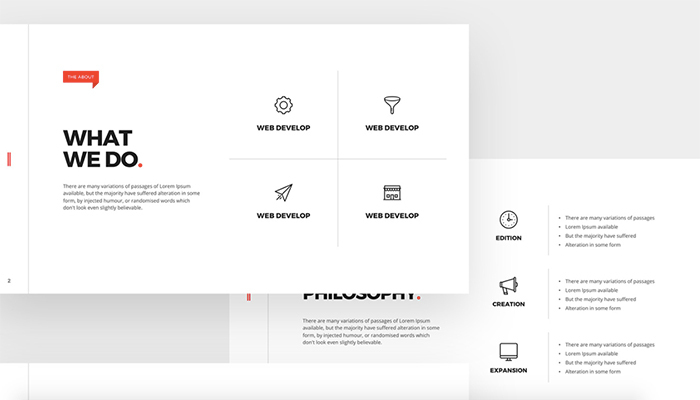 It features a restrained black and white color scheme along with a bright red highlight. 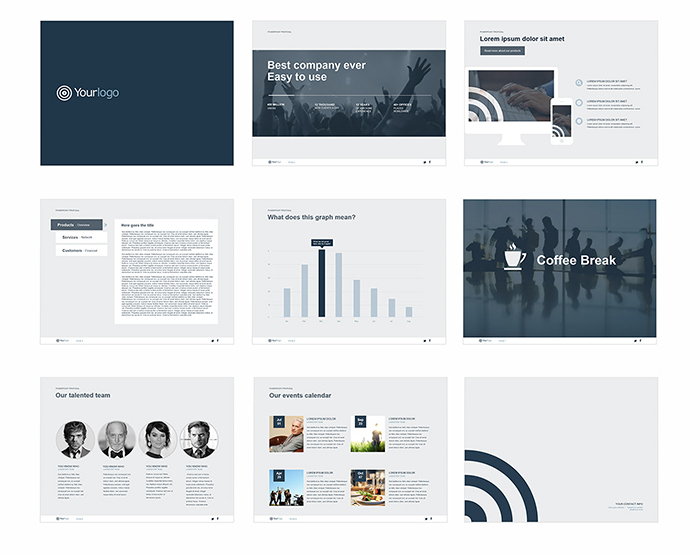 It includes a timeline, company history, ‘about us’ section, and other 150 slides. 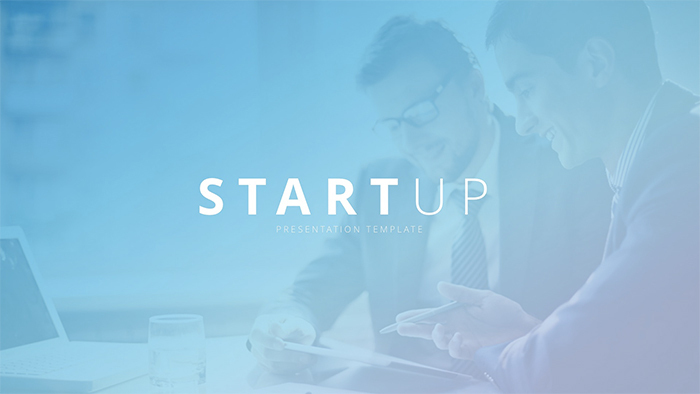 This presentation template is perfect to give a powerful and effective message to your audience because this presentation template will capture their attention, hence they will have your undivided attention. 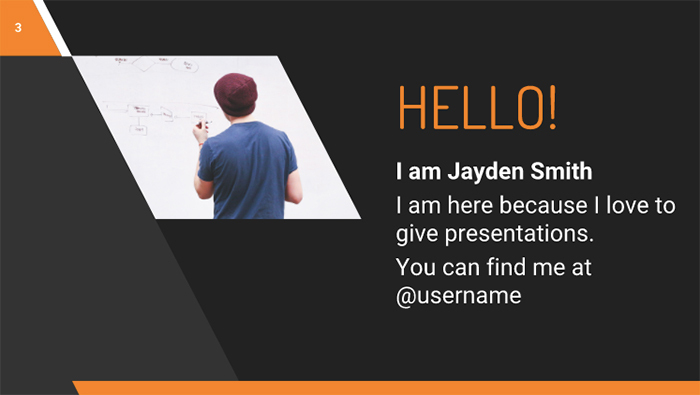 This orange and black presentation template stay true to business topic. 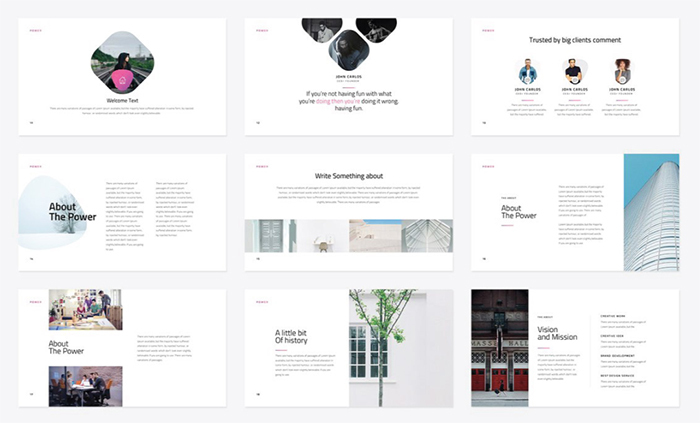 It has 25 editable slides with text blocks, maps, images, and diagrams. 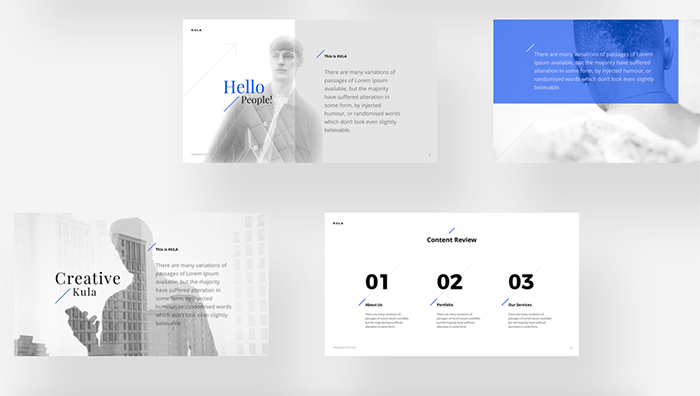 The William presentation template will not only impress your audience with it’s a professional and modern style, but it will capture their attention, giving you their undivided attention. 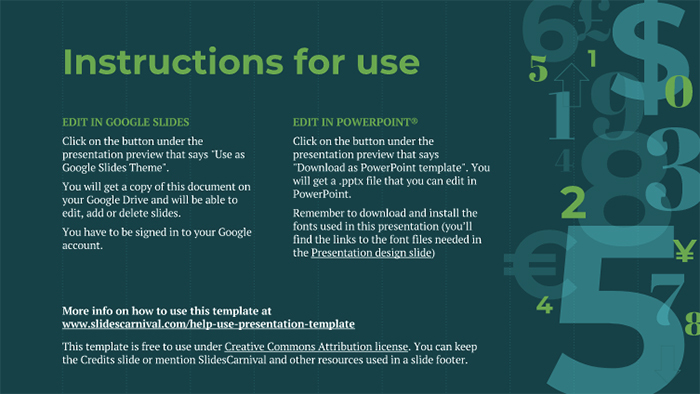 No more wasting time and stressing trying to create the perfect presentation, now you can just download this template for free. 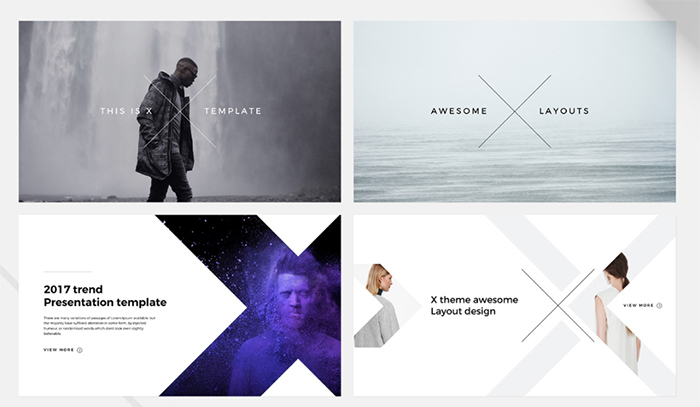 X – Free PowerPoint Template contains 18 unique slides with a fabulous layout. 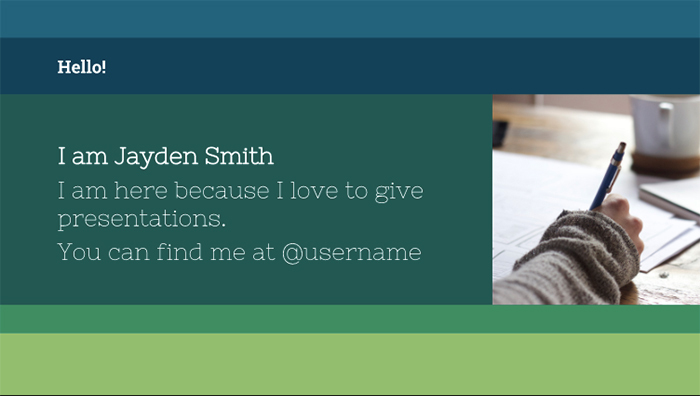 It also has drag & drop placeholders, this way you can insert your images into the presentation in no time. 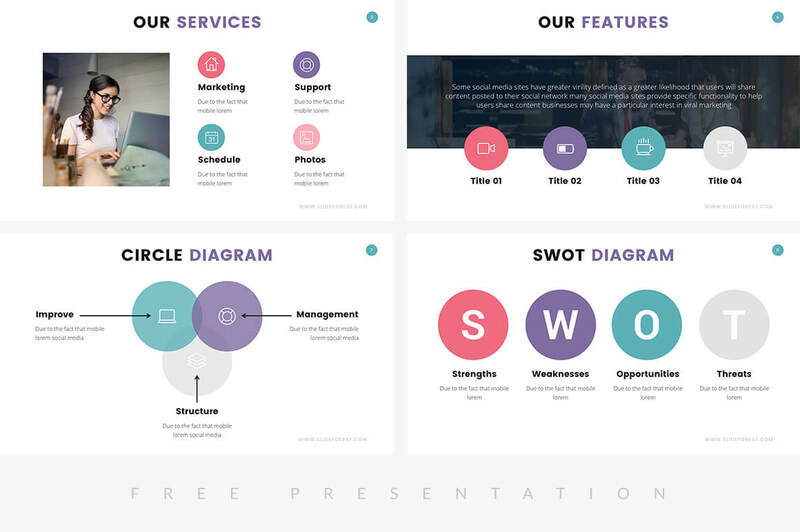 You can now download this presentation for free, gather all your information needed to present, and edit this template, as a result, you will have an outstanding presentation that is clean and professional, without wasting so much time and stressing to get it done. 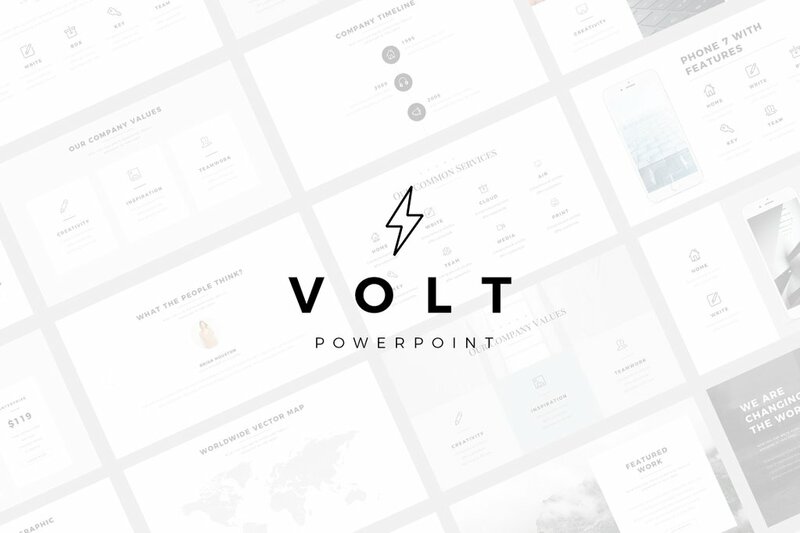 Viola is company profile ppt template that is fully-editable using Microsoft PowerPoint with a white color scheme with yellow highlights. 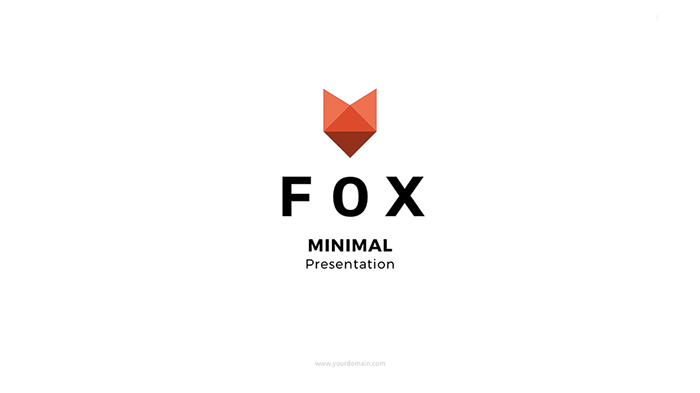 You’ll get 25 free creative minimalistic slides which you can adjust as you want. 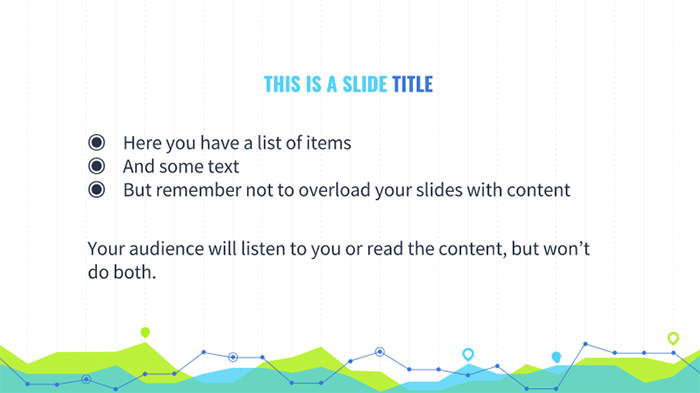 This gives you full control to organize each slide how you feel will be the best way to present your information to your audience. 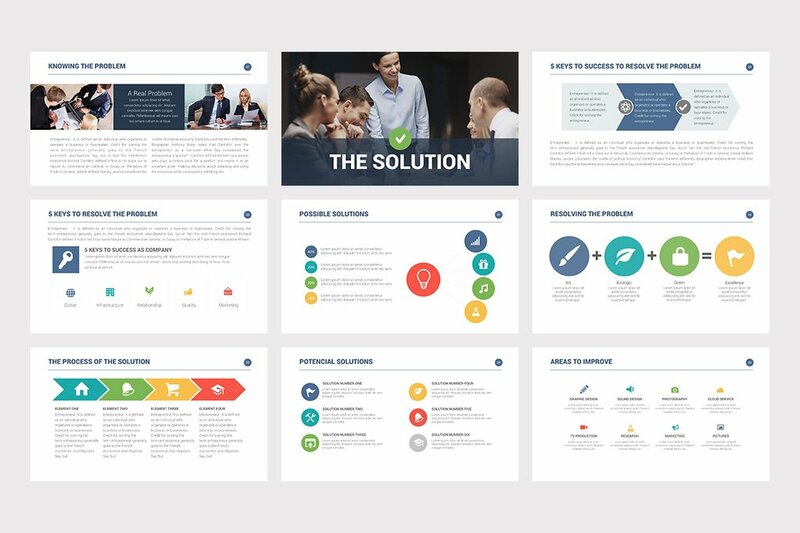 Even though this presentation template is simple, you can still visually capture your audience’s attention by adding visual aids. 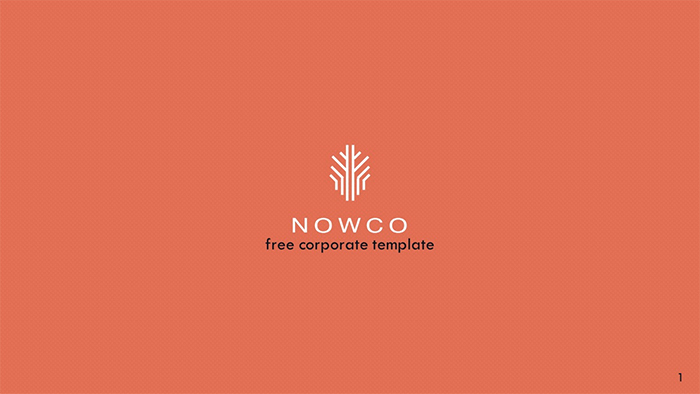 Nowco is a free professional and powerful corporate presentation template. 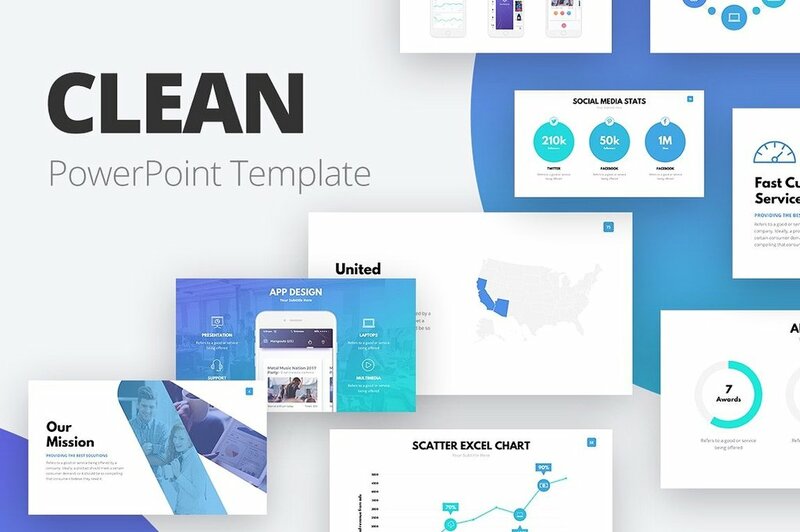 In fact, this template includes cover slides, typography slides, four different charts, mockups, team slides, and a free icons package. 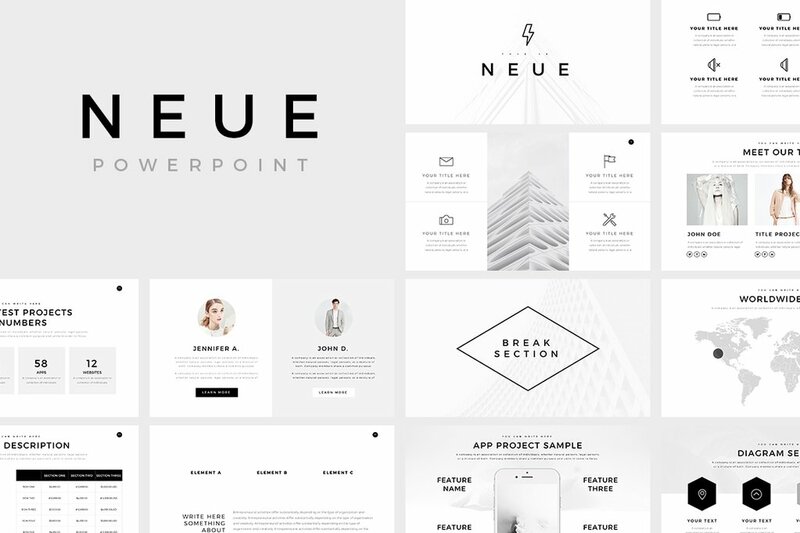 This presentation template is modern and will capture your audience’s attention with it unique layout and high-quality designs. 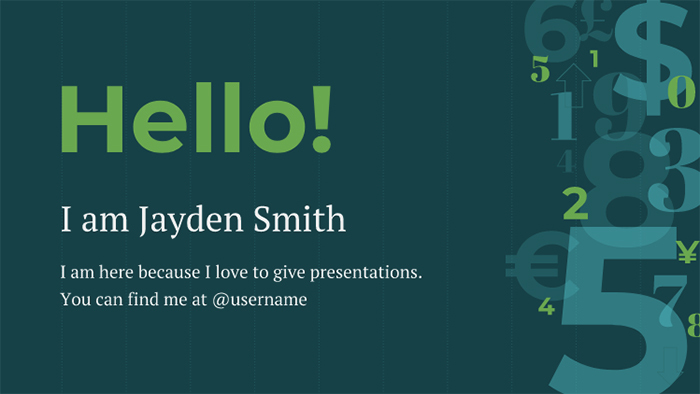 Don’t just impress, but stand out from everyone else with a fun and creative presentation. 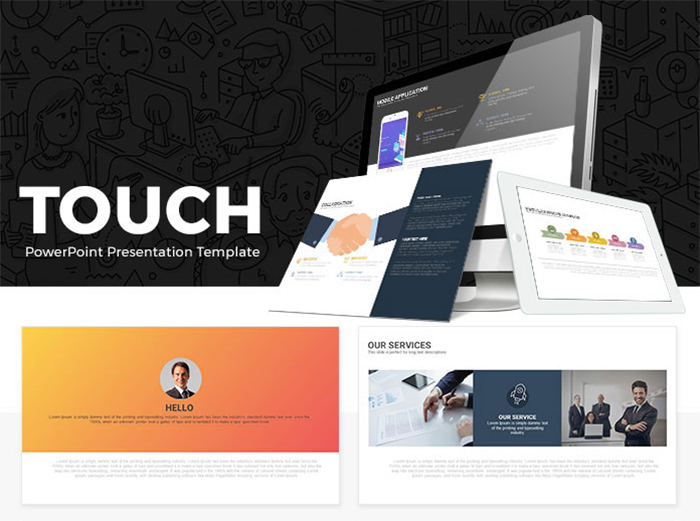 Touch is a stunning multipurpose PowerPoint template which will help you to build a corporate report or marketing presentation for your business. 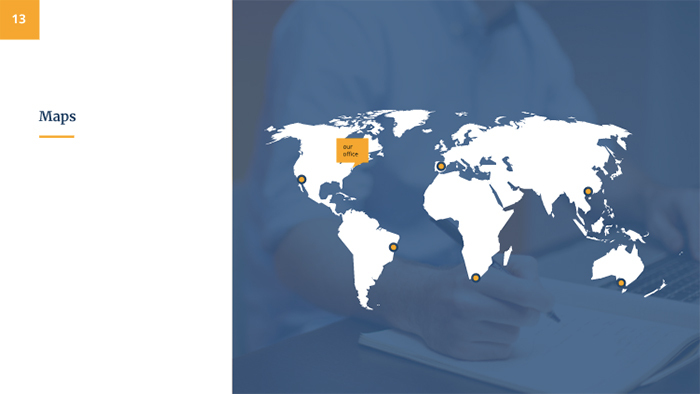 It features an unusual layout and different infographic elements to help you showcase your data. 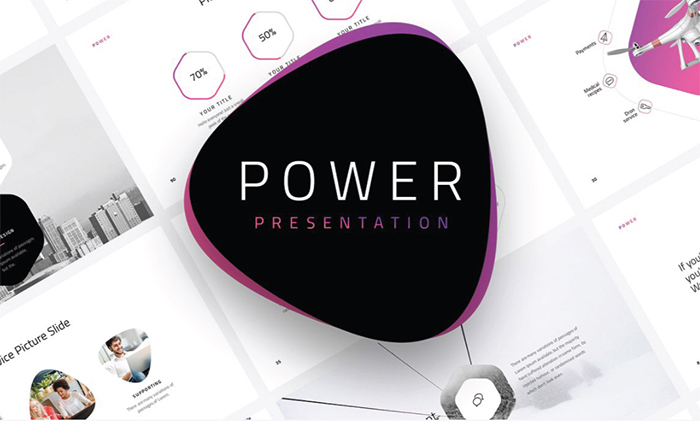 This presentation has everything you will need to create a one of kind presentation to impress your audience. 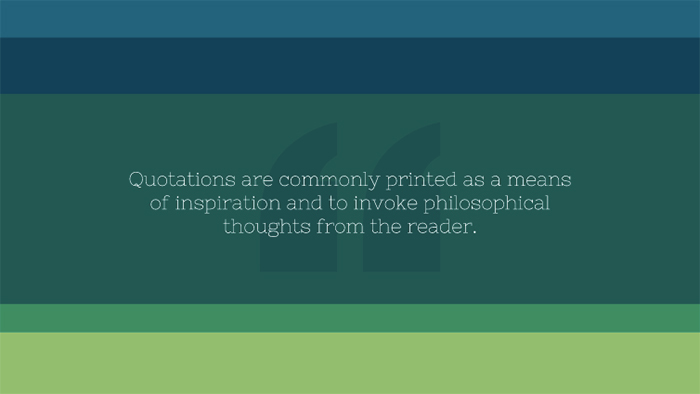 It is colorful to capture their attention and focus on what the presenter is saying. 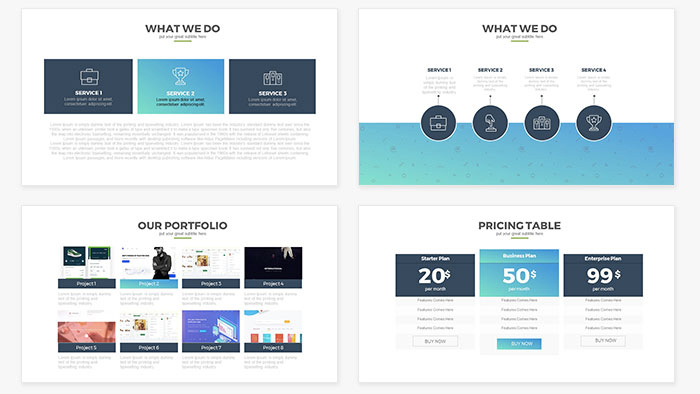 Aemelia is a blue corporate presentation theme with an icon pattern. 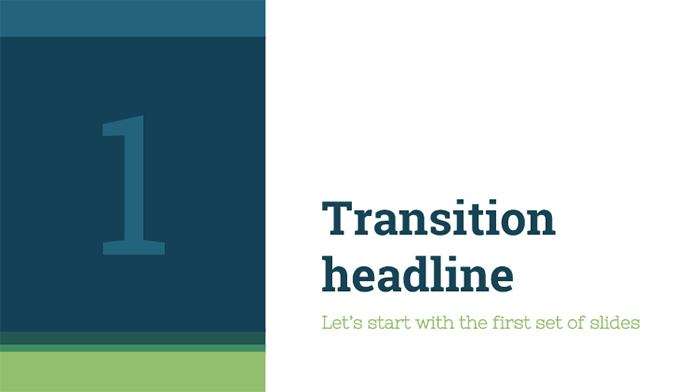 It has slides with text blocks, pictures, charts, calendars, and maps. 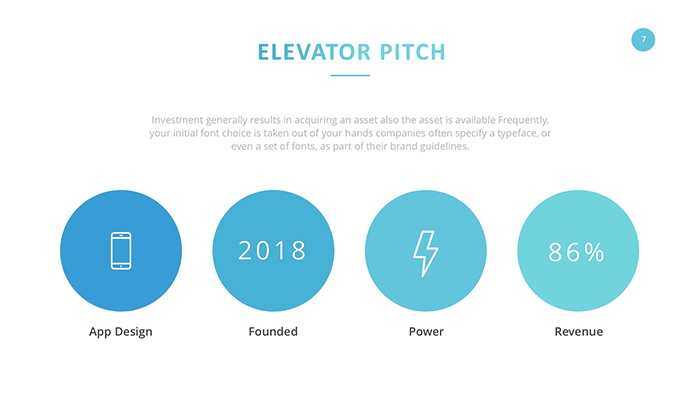 Icons are great to help the audience focus on the important information. 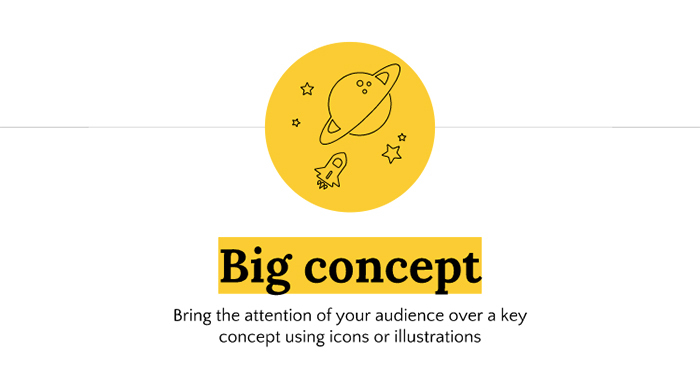 In addition to the infographics and icons, you can also add images to your presentation to make it more visually appealing, giving the audience something other than words on a screen to look at. 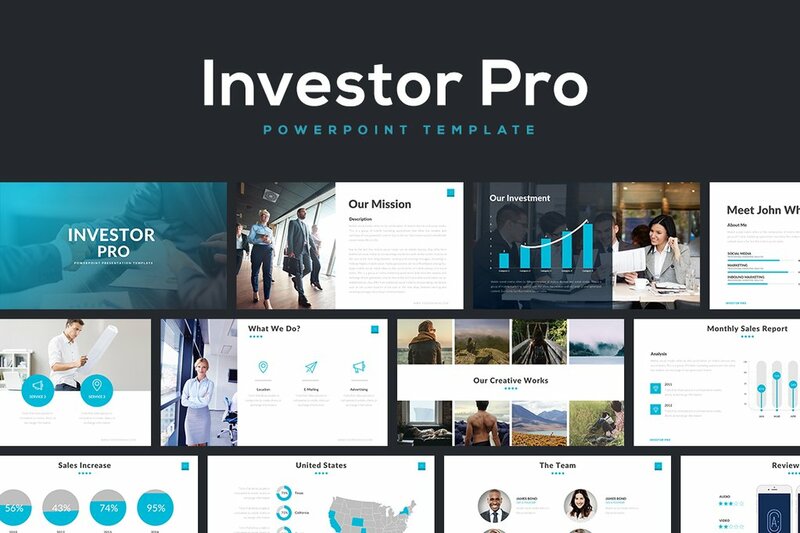 If you’re looking for professional company profile template for PowerPoint, Warwick could be a great option, because it uses green and blue colors, which are colors that are associated with ambition and knowledge, great things to have in business. 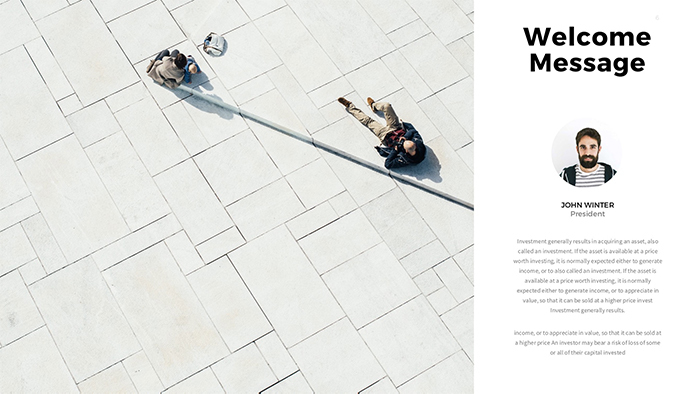 Warwick has a great corporate style suitable for business, education, finances, and more. 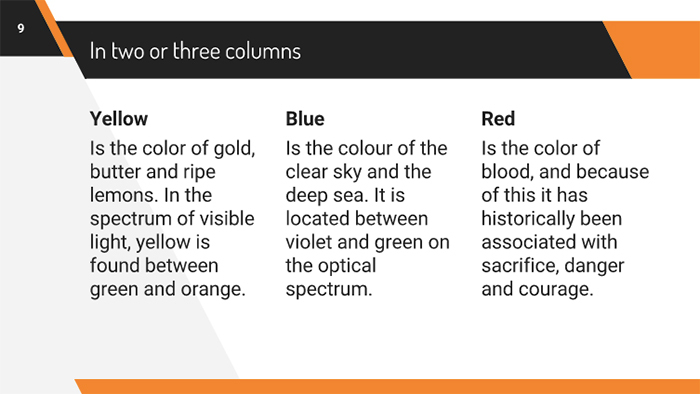 If you do not like the colors used, then you can easily change it with a click of the button to match your brand. 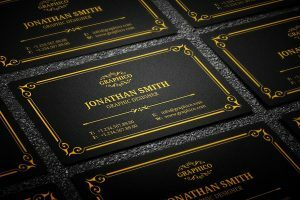 Making a great first impression is everything, especially if you are planning on working with people that could be potential customers, sponsors, or investors in the future. 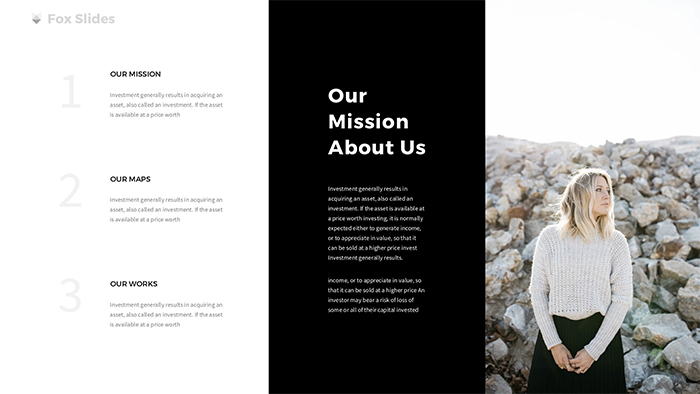 Creating a Company Profile is like a very detailed blueprint of what you and your organization, business, or company aim to do. 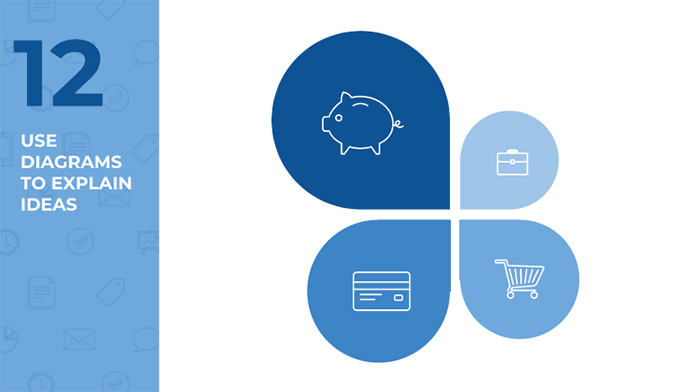 Before a person uses a certain service or product, they need to know that what they are going to purchase is qualified to get the job done, which is where the Company Profile comes in. 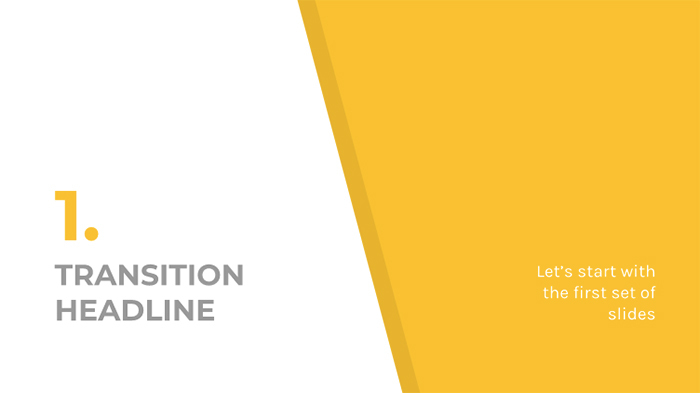 The Company Profile is important because it allows people to get an idea of what the company offers, their goals, strengths, experience, and why they are better than any other company. This is where the company should be proud and confident of what they have done, what they can do, and what they will be capable of doing. 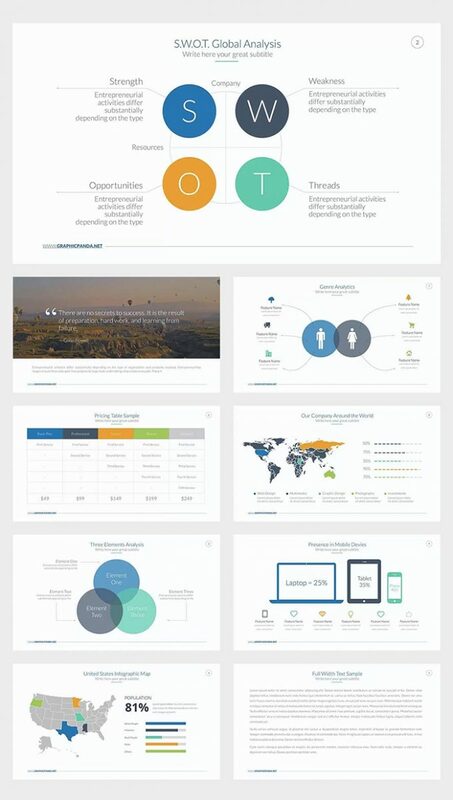 Who uses Company Profile Presentations? 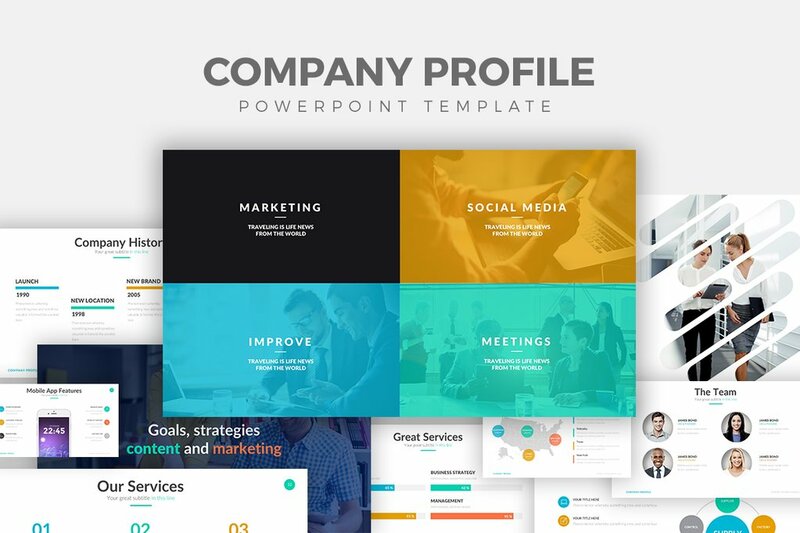 Company Profiles Presentations are used by businesses, companies, and any corporation as an introduction to what they are aiming to do and achieve. 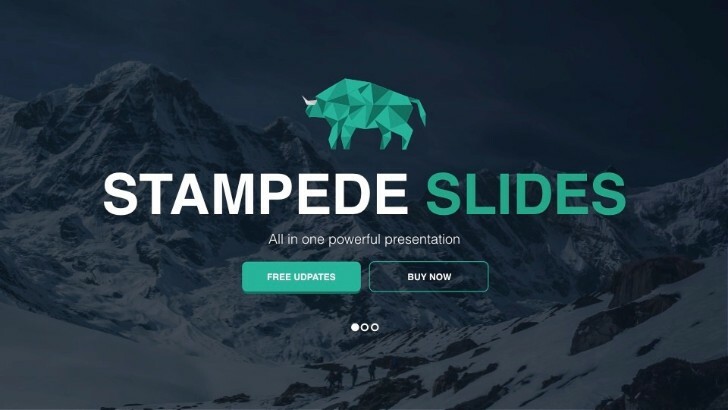 This type of presentation informs the audience, who could be potential customers or investors, what the plan of the company is and how they are doing so far. 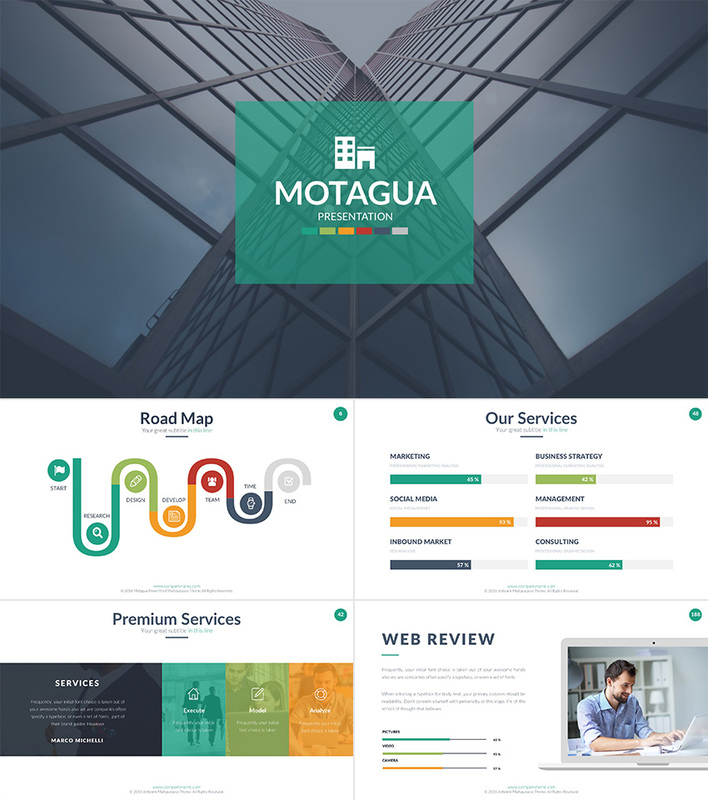 In fact, the presentation contains data that informs their audience about major assets, yearly revenue, profits, and any financial data about the companies business.